The family are going to love these Noosa Heads luxury accommodation. The Hastings Street Beach Houses are your alternative to the usual apartments resorts. These spacious freestanding townhouses provide you with the location, amenity and space to do what your family need to do most when in Noosa — relax. Away from intertenancy walls, floors and ceilings, you and yours immediately have that feeling of owning the moment with excellent privacy and space you can call your own. The open plan living area includes the kitchen with an excellent breakfast bar and a large balcony for al fresco dining. The townhouses are set over two levels, three if you count the carport beneath. These townhouses come with 2 bedrooms, with a sleeping configuration of one queen-sized bed and two singles. The superior townhouses come with an extra lounge area, so with an extra breakout area, everyone can have their space. However you don't need to book the Superior Townhouse to enjoy the newly completed refurbishments. With an overhaul of the walls and floors, kitchens and bathrooms, the Hastings Street Beach Houses have been catapulted into the twenty first century with a practicality that is at once very liveable and luxurious. There is also a wink at mid twentieth century style with some cleverly chosen pieces of furniture — kidney-shaped coffee tables and Arne Jacobsen-inspired chairs. A holiday in Noosa isn't just about the accommodation. With the amazing array of things to do and places to eat, we can say that Noosa has something for everyone whether you're looking for adventure on the water or over land, extreme adventure in the air, or some of the Sunshine Coast's best voted beaches, it's not hard to see why people return to Noosa year after year. For Noosa Heads luxury accommodation that is moments away from the beach and the buzz of Hasting Street make the Hastings Street Beach Houses the place where you stay this year. Book now. This isn't just any Noosa Heads holiday accommodation, the Hastings Beach Houses is where you'll find your dream of life on the beach, or beside the beautiful Noosa River will come true, at least for the duration of your holiday. Out the front of the beach houses is Noosa Main Beach, and behind the grounds of the Hastings Street Beach Houses are the Noosa River and Noosa Ferry jetty. The best parts of Noosa are close, Main Beach, the restaurants, cafes, and nightlife are just steps away. Down the road you can set you can setup the family for the day with stand up paddle boards or kayaks to venture through the everglades or explore the Noosa River. Our recently renovated townhouses have well equipped kitchens, air conditioning and ceiling fans in the bedrooms. Summer in Noosa can get balmy but you'll be pleasantly surprised by the attractive leafy locale of the Hastings Street Beach Houses. Nestled under a canopy of trees and bush, these beach houses are cool during the day and they are an attractive alternative to the usual holiday apartments. Also included is Austar cable television, free wi-fi and an adjoining carport. With everything close enough to walk to, or accessible on the Noosa Ferry, you car might just stay parked for the duration of your stay. Fresh seafood is just a ferry ride away in Tewantin. It's a quick jaunt to the Noosa Harbour Fish Market where you'll be able to find the everything you need for the BBQ. Our fully refurbished heated pool and wading pool for the kids includes an excellent BBQ area. It's the perfect place to entertain friends and family, or where you can lounge about and enjoy a good book during the day. Now that you've found the perfect Noosa Heads holiday accommodation at the Hasting Street Beach Houses, you better get a hurry on. We're always busy. Book now for your holiday in Noosa. Hastings Street family accommodation doesn't get handier than the Hastings Street Beach Houses. Located on the western end of Hastings Street, you can't get closer to the action than this and with all the space and privacy of these superb two-storey beach houses. That's right, this Noosa accommodation is just a walk across the road to the famous Main Beach and just as close to a handy food court and many of the celebrated restaurants and eateries that have put Noosa on the Australian foodie map. With plenty of choices for breakfast, lunch and dinner, the excitement of the area is also an attractive draw card. The Noosa River is nearby with plenty of activities to explore and enjoy this beautiful waterway. Take the family out on an adventure on a BBQ pontoon. With several boat hire businesses along Gympie Terrace, hiring a boat that will accommodate everyone is a breeze, especially when they come fully loaded with petrol, gas, life jackets, fishing tackle and bait. Take a leisurely cruise along the river to a recommended fishing spot and you'll have your lunch caught in no time, ready to put on the BBQ. If skippering a boat doesn't excite you, the Noosa Ferries are also a great way to explore the area. An all day pass provides you and your family with a ticket that will let you hop on and off all the seven stops. Start your day at the Noosa Sofitel jetty and work your way up to Tewantin where there is an excellent seafood market. If you want to pick up that fish you caught for dinner, we won't tell. Mums the word. You might also want to pickup some fresh Mooloolaba prawns while you're at it too. Hastings Street Beach Houses. Pool view. If you would like to have a BBQ (and who doesn't), then just across the road from our entrance on Noosa Parade you will find the river and a park with a small playground, and a BBQ area, otherwise we also have a BBQ area beside the pool. The choice is yours. Hastings Street family accommodation doesn't get handier than these Hastings Street Beach Houses. The family will love the two minute walk to the beach and also the peace and quiet of our secluded location. In Noosa Heads you can't buy better holiday accommodation than this. Book now. This must be the quintessential Noosa beach house Hastings Street accommodation. So close to the beach. So handy to the Hastings Street restaurant and cafe scene. The shopping is there too. For holidaymakers looking for a holiday with everything except the pricey accommodation bill will find bliss here. The Hastings Street Beach Houses are not your run of the mill Noosa holiday apartment resort either. Here your will find a lovely array of standalone townhouses where you are not staying with fellow holidaymakers, cheek by jowl. Instead these beachy two level, two bedroom holiday houses have space between and within for your family to really relax. Imagine a holiday with privacy and none of the irksome cries in the night with babies, kids and loud socialising. And if you want to have some fun, turn the tv louder, then it's not going to bother your neighbours. These individually furnished and decorated houses are fully equipped with all the mod cons so you will feel like this is your home away from home in next to no time. Air conditioning and ceiling fans. Check. Two bathrooms. Check. Laundry. Check. Well equippped kitchen. Check. Wi-fi and Austar. Check. Pack the family, you're all set to go. Everyone will love the space. Now the townhouses are best configured for families, but groups are welcome too. The master bedroom contains a queen-sized bed and the other rooms feature two single beds. Some of the beach houses have an extra living area. Just the thing for growing families especially for tweens and teens who need their own hangout space. Of course they could just hangout in a cafe, but here, they can relax in private and you know where they are. Anywhere in Noosa is a good place to be, but we'd like to think our Noosa beach house Hastings Street accommodation that is so close to the beach, and right on Hastings Street is the sweetspot for Noosa holidaymakers, but don't take our word for it, book your holiday with the Hastings Street Beach Houses, and you'll find out what the classic beach holiday on the Sunshine Coast can be made of. Are you looking for the best Noosa Heads accommodation? The Hastings Street Beach Houses really capture the spirit of holidaying in Noosa. These stylish and spacious double-storeyed townhouses nestled in a lush tropical setting are your perfect holiday accommodation destination right in the heart of Noosa and seconds from Noosa's Main Beach and the Noosa River. You're also close to all the shops, cafes and restaurants on Hastings Street. Everything really is at your fingertips. All our townhouses have two bedrooms with plenty of space, even more if you upgrade to a beach house with the extra living area. Sometimes it's good to have that extra buffer of space. Each abode is fully self-contained with a full kitchen, a dining area, and a lounge that opens onto it's own balcony, with view of the pool. Each beach house has a carport underneath, a laundry and is fully air-conditioned. Sleeping amenities offers 1 queen, 2 single beds and sofa. This handy location on the Sunshine Coast is an excellent base to use as you explore the region. Visit the other coastal towns, or tour the hinterland and explore the quaint and their local markets. There are plenty of food stops to and souvenirs to collect on your Noosa holiday. Nearby is Noosa Junction with the cinemaplex and even more shopping for those occasional rainy days. Spend a few lazy hours on the Noosa River, in one of the motor boats you can hire or fish right off the banks of the Noosa River. The whole family will enjoy those barmy days on the river, or at Main Beach awash in the ocean. When it comes to resorts in Noosa there is a lot to choose from but the unique Hastings Street Beach Houses are very special and will provide you and your family with the perfect beach holiday accommodation. Ring our friendly staff today or visit the website and book this best Noosa Heads accommodation. Ah, to book some Noosa Heads accommodation on Hastings Street... or not to book. That is the question. There are few places more lovely and temperate than Noosa. But then it's common knowledge that Noosa is one of the most beautiful places to holiday in the world. In Noosa there is rarely a day when it doesn't feel like summer, even winter is a mild version of what many in other parts of the world would call summer. To wax lyrical borrowing the words from Sonnet 18 is not such a bad way to find words of praise for the Hastings Street Beach Houses. Noosa really is a place to savour, and even if we don't have words for it, Will Shakespeare certainly did have words to savour life and beauty. The Hastings Street Beach Houses put you in a great position to enjoy the best that Noosa has to offer you. Just a minute from the beach and the superb shopping, cafes and dining of Hastings Street. Even though a holiday in Noosa may not inspire a sonnet, you can be assured that you and your family will be far too busy enjoying the Noosa vibe whether it's at the beach, or on the Noosa River or in the Hinterland. The Sunshine Coast certainly has it's charms, but it's at the end of the day when you are relaxing around the pool and BBQ, yes, in this outdoor entertainment area you'll find both these things and in the conviviality of meeting fellow holidaymakers that you'll know why you chose to book your stay at the Hastings Street Beach Houses. It really is a great place to stay. What makes the Hastings Street Beach Houses stand out is the individual style and relaxed furnishings of each beach house. Casual and relaxed, this is how things should be, and the standalone nature of the beach houses provides everyone with privacy when they want it. There are no walls to share as you would with holiday apartments, so it's a freer feeling that you have while you are on holiday. How can you put a price on that? So to book some Noosa Heads accommodation on Hastings Street... There are few properties in Noosa that can compare to Hastings Street Beach Houses. Book now. How about this affordable Noosa Beach accommodation? 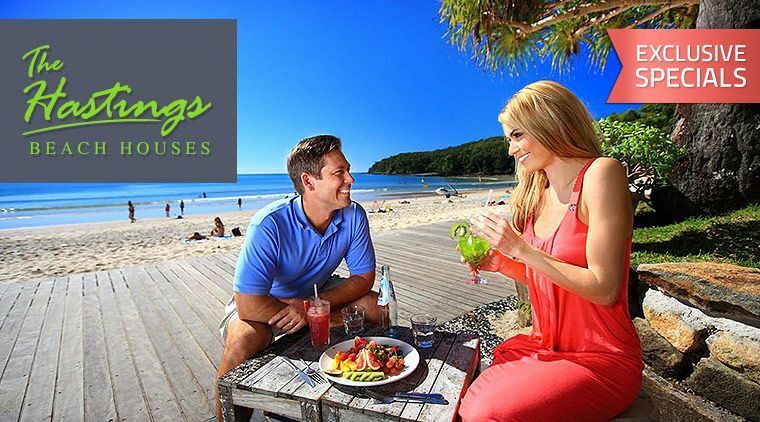 The Hastings Beach Houses are the quintessential Noosa accommodation for families looking for smart, hassle-free holiday accommodation so close tothe heart of Noosa — Hastings Street and the famous Main Beach, along with all the other highlights such as the Noosa River and the Noosa National Park. This part of the Sunshine Coast has so much at it's fingertips that your family will wake up everyday wonder just what to do next. Don't just book an apartment when you can book a standalone townhouse is just off centre of Hoosa's Hastings Street. Get all the benefits of staying central, and the peace and quiet of our secluded parklike ground. Of course the option to do very little is also on the agenda. Pack a picnic lunch and head to the beach for a lazy day by the ocean. Throw open the beach blanket, sun umbrellas and sand chairs and claim your spot on the beach. Surf, swim or just relaxing with the warm sand filtering through your fingers. The position of the Hastings Beach Houses is so handy. Just a two minute walk across Hastings Street and you're there. Then again once you've settled in to your accommodation and got your bearings, you'll be smiling to yourself knowing that your holiday will be effortless. Park the car and walk knowing that you'll have none of the parking hassles of the day trippers and holidaymakers who are staying in Noosa accommodation that is less central. Eating out or staying in for meals is a piece of cake too. There are plenty of options on Hastings Street too. Not all of them pricey haute cuisine places either. Consider Bay Village on Hastings, right next door. Your local food court for when you want a break from BBQ meals, or grab a bite on the run, a Subway maybe, or perhaps a juice, gelato or sushi. When you add up the pros versus the cons, there is very little downside to our position, or our prices as well as having all the amenity you'd expect from a property in such a premium position. The Hastings Beach Houses. Book this affordable Noosa Beach accommodation now. Everyone wants to be on Hastings Street. But not everyone knows about this delightful Hastings Street Noosa Heads accommodation. The Hastings Street Beach Houses are one of Noosa's best kept secrets. Secluded and private, yet so close to Noosa Main Beach, Laguna Bay, the Noosa River and the Noosa National Park. For everywhere else in Noosa, the Noosa Ferries are bound to drop you nearby. These double-story two bedroom townhouses are spacious with open plan plan living, dining and kitchen areas. The private balcony that opens off the living room is the perfect little hideaway for reading and sunbathing. The kitchen is also equipped with al the mod cons so meal prep is no harder than cooking at home. For your comfort, the townhouses are equipped with air conditioning and ceiling fans in the living areas and bedrooms. It sure is cool to be cool, and with most townhouses nestled amongst leafy tropical foliage, the townhouses never get too hot anyway. Come back for a BBQ, or take a splash in the newly refurbished salt water pool. It's all so much more fun when the BBQ and dining area is poolside. Little ones can join in the fun too with the toddlers pool. For afters and in-between times, each of the townhouses is equipped with Austar and free wi-fi. The essentials of life — maybe not, but it's always a good policy to keep the family and crew connected, and with so much going on, there are bound to be photos and videos to upload. It didn't happen if you don't have the pictures, right? There's also plenty of opportunities to strengthen the ties that bind around the pool, over the BBQ. The Hastings Street Beach Houses have all the amenity you expect and more. You will have a memorable holiday here at this delightful Hastings Street Noosa Heads accommodation. Now you know. The Hastings Street Beach Houses are the place to be for your holidays. Book now. This Noosa beach house family accommodation offers a superb range of fully self contained and individually furnished beach houses that are all are freestanding and include full laundry and kitchen facilities. Here you'll enjoy extra space and privacy from the usual Noosa holiday apartments. There are no inter tenancy walls and there is ample space between the townhouses. The onsite facilities features an outdoor entertainment area with a newly refurbished swimming pool and paddling pool for kids, along with an accompanying communal barbeque area. The Hasting Street Beach Houses are so close to Noosa's main beach — just a short stroll across the road, and even closer to the shopping, restaurants and cafes of this famous holiday strip. No matter why you've come to Noosa, it's all here for you, whether it's the great outdoors, or the laid back cafe and restaurant scene, there is plenty to do on your Noosa holiday. Noosa has so many rich and diverse attractions that make it one of the most popular holiday destinations in Australia. We're also proud that a 4km stretch of surf breaks on the Noosa coastline has officially been declared the 10th World Surfing Reserve. Close to Noosa Heads is Noosa Junction, with their movie cineplex and yet more shopping. Gympie Terrace is another area for the epicurious to explore, it vies closely with Hastings Street when it comes to award winning restaurants and bistros. Then of course the Noosa River, yet another aquatic playground. Tewantin fish markets are always worth a visit and a trip to the Eumundi markets (every Wednesday and Saturday) is a great way to stock up the holiday larder and have a day out perusing the arts, crafts and fashion stalls. You're not going to find Noosa beach house family accommodation handier than this with all the amenity and convenience of location than the Hastings Street Beach Houses. Book now for this great holiday accommodation in Noosa. These are lovely holiday houses Noosa Heads set in tropical surroundings that are well within walking distance of the great Hastings Street attractions. Relax and indulge in whatever holiday pleasure you like at the Hastings Street Beach Houses. It's all here, the entertainment options of an urban destination; restaurants, bars, cafes and high-end retail boutiques, and surrounded by nature. This cool, leafy Australian bush setting is paradise for everyone. Each freestanding 2 bedroom beach house is individually furnished and set back from Hastings Street. It's a great position offering easy access to the heart of Noosa but also so peaceful and quiet. Each beach house has a private balcony, fully equipped kitchen and laundry, air conditioning, AUSTAR, undercover parking and access to the fully refurbished swimming pool, BBQ facilities and wi-fi. If you feel like messing around on the Noosa river then you can hire a boat, kayak, or stand up paddle board and explore the pristine Noosa River waterways. Make a day of it on the water with the family and friends and hire a BBQ pontoon. Cruise the Noosa waterways and experience the Noosa Biosphere up close with it's diverse habitats. You can also go fishing, there are plenty of fish in the mangroves and the mouth of the Noosa River. Then it's time to fire up the barbie. For the Noosa River visitors who just want to enjoy the ride, the Noosa Ferries have recreational rides as well as a commuter service. The Eco Cruise will take you into the heart of the Noosa Biosphere where you'll be equipped with binoculars for bird spotting and plant identification books. You'll get an opportunity to stop for a short guided walk on land and then have morning tea back on the boat. After a day out you may feel like something easy for dinner. The Bay Village next door makes it easy with their foodcourt. There are a couple of bars and clubs upstairs as well. Miss Moneypenny's is a couple of doors down and always a great evening destination. We think you will like these lovely holiday houses Noosa Heads. The Hastings Street Beach Houses are one of Noosa Heads best kept secrets. Book now. If you're looking for family accomodation Noosa Heads with plenty of space for the family, then you should take a good look at our townhouses. Our double-storey Hastings Street Beach Houses have been designed and styled for easy beach living where you can live like a local right beside Noosa's main beach. These fully self contained townhouses have all of life's necessities, and everything to make your holiday a total breeze, including fully equipped kitchens to make self-catering a breeze. The resort includes a heated salt water pool and a BBQ area. Each townhouse is nestled in lush tropical gardens creating a tranquil and relaxed setting for you and your family. It's easy to walk to the beach at Laguna Bay, the Noosa River, or wander the National Park. An adventure on Noosa River is just a ticket for the Noosa Ferry. Staying in the heart of Noosa offers your family an excellent selection of holiday activities. There's so much more to Noosa’s main beach than just swimming,surfing and hanging out on the sand. At Laguna Bay you can go fishing, jet skiing, or paddle boarding (SUP) when the bay is calm. The really adventurous may want to go parasailing. Not only is the adventure circuit live and kicking out there, but food lovers will also love Noosa. Either Hastings Street or Gympie Street is where you will find the best restaurants in Noosa. Sometimes quick and easy is what you're after; the food court at the Bay Village is full of delicious options. Everything is so close. You'll love the convenience of being close to everything with this delightful collection of standalone beach houses. This is the perfect family accomodation Noosa Heads on Hastings Street. So perfect for your next holiday. Book now before we book out. The Hastings Street Beach Houses are always in demand. Once you've finished dining, the nights entertainment are also many and varied with several clubs and bars to while away the evening. This Hastings Street Noosa Beach accommodation has the best beachside location on the Sunshine Coast. Just seconds from the beach, these spacious two level beach houses also include some great onsite facilities. Enjoy the peaceful and quiet atmosphere of this tropical garden resort. A leafy retreat so close to the beach, shops and restaurants of Hastings Street. One of the best Sunshine Coast locations in anyone's book, and so affordable. Good coffee, delicious food, boutique shops, book shops and art galleries are just beyond the entrance of Hastings Street Beach Houses. To appreciate the range of great shopping in Noosa you'll need to dedicate a day or two because there's lots to see and shopping can be such thirsty work. It's fortunate that there is such a great range of cafes and bars on Hasting Street. You'll marvel at just how comfortable these beach houses really are. Tropical canopies help to keep these holiday abodes cool. Many of them have just been renovated, updated with modern and casual furnishings and interiors that are very liveable. The oppen plan living, dining and kitchen areas make entertaining a breeze for everyone with the lounge area opening out ontoit's own private balcony. The perfect place to read catch up with some holiday reading. Beyond the beach, the Noosa River is a playground with so many fun activities to enjoy and exotic places to explore. The Noosa Biosphere is a UNESCO reserve that includes a diverse range of habitats, including the estuarine mangroves found along the Noosa River and her tributaries. Paddle the waters in a kayak, or cruise in a BBQ pontoon with the family. Fish, cruise and BBQ all on the same boat. Non boaties can take the Noosa Ferries, as they have recreational cruises as well as commuter services. The Eco Cruise will take you on a two and a qurter hour tour of the Noosa Biosphere. Included are binoculars for bird spotting and plant identification books. The Sunset Cruise is also a fun way to end the day. Bring your own drinks and the Noosa Ferries will provide the glassware as you travel along the most picturesque parts of the Noosa River, including some of the most prestigious Noosa waterfront properties. Why not book your spot at our Hastings Street Noosa Beach accommodation. We have the best value beachside location on the Sunshine Coast that you'll ever find. You can count on it. For the best Hastings Street Noosa accommodation come and live like the locals at the Hastings Street Beach Houses. You'll be enchanted by our two level beach houses. These delightfully stylish and spacious fully self contained townhouses have all the mod cons, including fully equipped kitchens to make self-catering a breeze. Each beach house also has a private balcony, a laundry, air conditioning, AUSTAR, undercover parking and wi-fi. The resort facilities include a pool and BBQ, and each townhouse is nestled in tropical gardens where you can relax in this lush and tranquil setting. You'll especially enjoy just how close to the beach you are. Step out and cross the road to make your way onto the Sunshine Coasts most celebrated Main Beach. It's an ideal family beach that is surf patrolled 365 days a year, and there is usually enough surf for learners to catch a wave and fall off without the fear of injury from a rocky bottom. The gently undulating sandy bottom beach is safe for all. Come and discover the best holiday accommodation Hastings Street Noosa. Everything you need is right here at the Hastings Street Beach Houses. Our stylish and spacious fully self contained townhouses have all the mod cons, including fully equipped kitchens and laundries — essential for the longer stays. Each beach house also has a private balcony, air conditioning, AUSTAR, undercover parking and wi-fi. Resort facilities feature a renovated pool and BBQ, and each townhouse is nestled in relaxing and lush tropical gardens. Step out and make your way onto the Sunshine Coasts most celebrated Main Beach across the road. It's an ideal family beach that is surf patrolled 365 days a year. The gently undulating sandy bottom beach is safe for all. This beautifully sheltered bay is the perfect place for family outings, and is close to the gelato bars on Hastings Street. Adventurists can hire a ski jet to ride on Laguna Bay, or go paragliding. If you wish to go exploring the restaurants of Noosa, the Noosa Ferry is the handiest way to Gympie Terrace for more cafe and restaurant options. Hastings Street remains the favorite destination for holiday shoppers, restaurants, cafes, bars and nightclubs. Whether you intend to catchup with some holiday reading and lots of sunscreen beside the pool, or plan a more active holiday seeking adventure on the Noosa River, or on the waves of Laguna Bay, you have so many options for play in Noosa. Jetskiing, power boating, standup paddleboarding, cruising and kayaking to name but a few. If you are looking to plan and book other river and ocean adventures, we can help — there's fishing charters and guided kayak tours if you want to get serious. Just come up to the office at the tour desk and we can help you get sorted. Come and discover the best holiday accommodation Hastings Street Noosa. We really do mean it when we say everything you need is right here at the Hastings Street Beach Houses. Book now. If you're looking for affordable Noosa Heads accommodation with plenty of space for the family, then you might like to take a closer look at our townhouses. Our two level Hastings Street Beach Houses are stylishly designed and furnished, and are to be found right where visitors to the Sunshine Coast can live like locals right on the Noosa beachfront. These fully self contained townhouses have all the mod cons, including fully equipped kitchens to make self-catering a breeze. The resort facilities include a pool and BBQ, and each townhouse is nestled in the lush tropical gardens. You'll love the tranquil and relaxed setting, and you'll especially enjoy just how close to the beach you are. It's easy to walk to the beach at Laguna Bay, the Noosa River, or wander the National Park. If you wish to go on an adventure on the Noosa River then grab a ticket for the Noosa Ferry. Noosa offers an excellent range of holiday activities that will keep your family entertained. There's so much more to Noosa’s main beach. Right beside is Laguna Bay, where you can go fishing, jet ski tours, or paddle boarding when the bay is calm. Laguna Bay is the perfect location for adventure. High adventurists may wish to try the parasailing. Not only is the adventure circuit out there, but also gastronomes will enjoy Noosa. Either Hastings Street or Gympie Street are where you will find the many and varied restaurants in Noosa. Sometimes quick and easy is what you're after; the food court at the Bay Village is full of delicious options. Once you're done dining, the options for a nights entertainment are also many and varied with several clubs and bars to while away the evening. Everything is so close. You'll love the handy distance to everything from this delightful collection of standalone beach houses. It's the ideal affordable Noosa Heads accommodation on Hastings Street. Perfect for your next holiday. Book now. One of the best kept secrets is The Hastings Noosa where you will find fantastic accommodation on Hastings Street. Here you will feel secluded, safe and completely at home in these Noosa beach houses which are located in the heart of Hastings St. With your very own free standing beach house you can live just like a local, all these beautifully designed beach houses are individually furnished with air conditioning and walking distance to the beach, Noosa National Park, award winning restaurants and fantastic boutique shopping. Each of these beach houses in this Noosa accommodation on Hasting Street is fully self contained, they span over two levels with stairs, free internet, private balconies, fully equipped kitchens and laundry facilities, undercover parking, two bathroom and flat screen televisions with Austar. This Noosa Beach House accommodation can sleep up to six people, so no one has to miss out on the fun. With spacious living and dining areas the whole family can relax in their own space right on the beach front. Right in the heart of Hastings street, these beach houses are the definition of Noosa, close to everything, the beach, the river and all of the restaurants and boutiques Noosa is so well known for. Your own free standing beach house, set in a lush tropical garden is waiting for you. Just moments from the National Park this Noosa accommodation is the best place for you to discover the area and all the activities it has to offer. Experience Noosa how the locals do it, chill out on the beach for your next well-deserved break. Our friendly staff will help you with everything you need, where the best spots are for picnics along the river banks, this will be a truly new and different experience that you can all enjoy. This accommodation on Hastings Street has it all, ring us today to make your booking and come and see for yourself. It doesn't get much better than The Hastings Beach Houses in the heart of Hastings Street Noosa when it comes to Hastings St accommodation in Noosa Heads. These fully self contained beach houses are located right on Hastings St opposite the patrolled Main Beach and within the shopping and dining precinct. With the entrance on Hastings St and the accommodation setback from the road, you will enjoy peace and tranquility on your holiday whilst being a few steps from the action of Hastings St. These great beach houses come in a number of configurations with the ability to comfortably sleep 4 - 6 people. These free standing beach houses are spacious, individually furnished, air conditioned and are fully self contained. With a private balcony area, full kitchen and laundry facilities they are perfect or family holidays. Relax with great onsite facilities including a heated swimming pool and bbq facilities. Located directly opposite Noosa's Main Beach, swimming and surfing is just a few steps away. Wander the beautiful Noosa National Park via the coastal boardwalk to discover secluded coves and bays, surf breaks and stunning lookouts. Don't forget the camera with lots of opportunities for photos back to Noosa Heads, Fraser Island and down the coastline towards Coolum. Keep your eyes peeled for local fauna including goannas, koalas and dolphins. Wander Hastings St where you will be tempted by the many and varied boutiques, gift shops and galleries. If you are after a new pair of swimmers, sunglasses, shoes, an evening outfit of a gift for that hard to buy for friend or family member, Hastings St is the perfect place to shop. Ring us at The Noosa Beach Houses to book your Noosa Heads Accommodation Hastings St, the ideal accommodation option for your next Noosa holiday. Nestled in tropical gardens these Noosa Heads Apartments are the perfect location to have the most wonderful beachside holiday on the Sunshine Coast. These Hastings Street Beach Houses are seconds from the beach, with spacious two storied beach house accommodation and superb onsite facilities. Enjoy the peace and quiet on the waterfront without being miles away from nowhere, Noosa combines a laid back beach vibe with modern charm. One of the best Sunshine Coast destinations in anyone's book. We are just minutes from good coffee, delicious food, boutique shops, book shops and art galleries. You need to dedicate a day or two to this endeavour because there is lot's to see and shopping can often be such thirsty work. You'll marvel at how comfortable these beach houses are. They've been built to take advantage of of the easy and carefree lifestyle of Noosa with modern and casual furnishings that whisper Noosa. The living, dining and kitchen areas are open plan to make cooking and entertaining a breeze for everyone. The lounge area opens onto a private balcony, which is the perfect place to read a book and relax with a cool drink. If you're feeling like something to do, then the Noosa River is a playground with so many fun activities to enjoy and exotic places to explore. The Noosa Biosphere is a UNESCO reserve that spans across the diverse range of habitats that make up the area including the Noosa River and her tributaries. Paddling in a kayak or cruising in a motor launch are great ways to explore the Biosphere up close. If that sounds like too much effort, the Noosa Ferries have recreational rides as well as a commuter service. The Eco Cruise will take you into the heart of the Noosa Biosphere. You'll be equipped with binoculars for bird spotting and plant identification books. Stop off along the way for a short guided walk on land and then return for morning tea back on the boat. These Noosa Heads apartments are the perfect place to put your feet up at the end of a busy day — after visiting the local attractions, lazing on the beach, or messing about on the river. The Hastings Beach Houses Noosa, a fabulous place to stay. Book now. We won't tell if you won't. 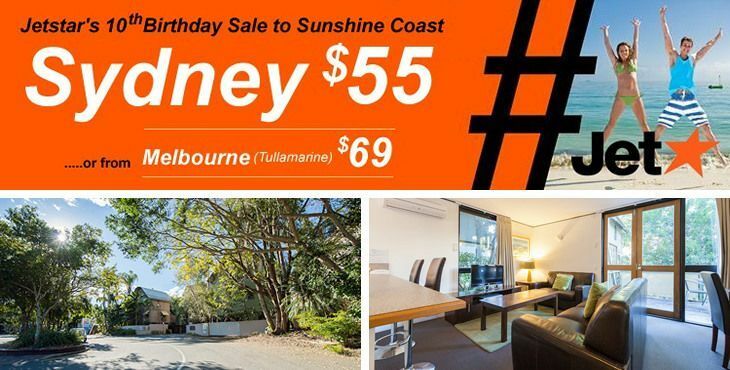 Make this the best version of your Sunshine Coast holiday and stay at this holiday accommodation Noosa. A family holiday will never get better than when you spend it in the heart of Noosa — seconds from Noosa's Main Beach, the Noosa River and close to all the shops, cafes and restaurants on Hastings St. Noosa and especially this Hastings Street Noosa accommodation is the ideal choice for families, singles and couples, and will provide everyone with an unforgettable beach side holiday, full of sun, relaxation and new adventures. There's plenty of space, with even more if you upgrade to a beach house with an extra living area. Sometimes it's good to have that extra zone of chill. Each abode is fully self-contained with full kitchen, dining, with a lounge that opens onto it's own balcony, with view of the pool. Every beach house has it's own carport underneath, a laundry and is fully air-conditioned. For sleeping you get 1 queen, 2 single beds and sofa. This fantastic location on the Sunshine Coast is a great base to use as you explore the region, head to the other coastal towns, or to the hinterland and explore the quaint and their local markets. Browse the food and souvenirs on your Noosa holiday. Close to your resort you will find Noosa Junction with their cinemas and even more shopping for those occasional rainy days. Spend a few lazy hours on the Noosa River, getting to know the town from the crystal clear waters or fishing right off the river banks. The whole family will enjoy these barmy days on the river, or at the beach awash in the ocean. When it comes to resorts in Noosa there are a lot to choose from but the unique and spacious Hastings Street Beach Houses are quite special and will give you and your family an absolutely perfect beach holiday. Ring our friendly staff today or visit the website and book this holiday accommodation Noosa for the holiday of a life time. These lovely Noosa accommodation Beach Houses are set in tropical surroundings close to Hastings Street. Each freestanding 2 bedroom beach house is individually furnished and set back from Hastings Street. It's a great position offering easy access to the heart of Noosa but also so peaceful and quiet. Each beach house also has a private balcony, a fully equipped kitchen and laundry, air conditioning, AUSTAR, undercover parking and access to the fully refurbished swimming pool, BBQ facilities and wi-fi. Relax and indulge in whatever holiday pleasure you like. It's all here, the entertainment options of an urban destination; restaurants, bars, cafes and high-end retail boutiques, and surrounded by nature. This cool, leafy Australian bush setting is paradise for everyone. Feel like some river action, because the river is nearby. Hire a boat, kayak, or stand up paddle board and explore the lovely pristine Noosa River waterways. Make a day of it on the water with the family and friends and hire a BBQ pontoon. Cruise the Noosa waterways and experience the Noosa Biosphere up close with it's many different aquatic habitats. You can also drop a line, there are plenty of fish in the mangroves and the mouth of the Noosa River. Then it's time to stoke up the barbie. For the Noosa River cruisers who just want to enjoy the ride, the Noosa Ferries have recreational rides as well as a commuter service. The Eco Cruise will take you into the heart of the Noosa Biosphere. You'll be equipped with binoculars for birdspotting and plant identification books. Along the way you'll stop for a short guided walk on land and then have morning tea back on the boat. After a day out you may feel like grabbing something easy. The Bay Village next door makes it easy with a foodcourt next door. There are a couple of bars and clubs upstairs as well. Miss Moneypenny's is also a couple of doors down and always great venue for some evening entertainment. We think you will like these lovely Noosa accommodation Beach Houses. The Hastings Street Beach Houses are one of Noosa Heads best kept secrets. Book now. We can keep a secret if you can. You'll want to book our Noosa Heads apartment accommodation alternative. It's the perfect holiday accommodation with a position close to the action on Hastings Street, yet nestled away in a wonderfully secluded and private enclave of Hastings Street. The location of these Hastings Street Beach Houses has huge appeal to visitors to Noosa who appreciate great food, and the ample recreational opportunities of being close to Main Beach and the Noosa River. One of the cleanest rivers on the Sunshine Coast, the Noosa River plays host to a vast number of water sports and recreation on the water. Our cute two bedroom townhouses are spacious and comfortable. Built over two storeys, the bedrooms are upstairs, with the living and kitchen areas downstairs. Experience the beauty and diversity of the Noosa Biosphere while staying in Noosa. You can either book a seat on the Noosa Ferry Biosphere Cruise or take a kayak or canoe cruise. Kanu Kapers offer guided and unguided tours, but rest assured the unguided options include training so you and your family can become competent paddlers on the water. Itineraries, maps, safety equipment and kayaks are provided. You choose from 1, 2 or 3 day tours and experience the unspoilt flora and fauna of the Noosa Everglades. What better way to build family ties than by exploring the natural world on an adventure of a lifetime. The Hastings Street Beach Houses are always great for the return from a big day. Relax beside the pool and fire up the BBQ. If you take the ferry to the western most stop on Tewantin, you can grab some fish of the day, or maybe some juicy Mooloolaba prawns. Afterwards, relax watching an Austar movie or sports, and you can think about the other fun things that Noosa has in store for you. It won't happen unless you book our Noosa Heads apartment accommodation. You'll also get our best rates when you book directly on our website or call. These family friendly Noosa holiday apartments are just what you're looking for. Nestled in tropical gardens, these two level Hastings Street Beach Houses are stylishly designed and furnished. This is where visitors to the Sunshine Coast can stay and live like locals right on the beachfront. All townhouses are fully self contained with fully equipped kitchens to make self-catering a breeze. Onsite facilities include a pool and BBQ, and each townhouse has its own balcony. There will be no regrets when you come and stay at your new holiday home away from home. You will be wowed by just how close to the beach you are, not to mention the the great facilities, friendly staff and spacious apartments. Walk to Noosa's Main beach, the Noosa River, wander the National Park, see a movie, or explore the Noosa River by ferry. Noosa offers a vast range of fun holiday activities perfect for your next family holiday. You will find Noosa’s main beach breaking onto Laguna Bay, a popular stop for fishing, jet ski tours, and paddle boarding when the bay is calm. Laguna Bay is the perfect place for a bit of adventure. For high adventure, you may wish to try the parasailing. Adventure can also be found on the culinary circuit. Either along Hastings Street or Gympie Street, where there are many a bistro or fine dining restaurant waiting for you. For quick and easy the food court next door at the Bay Village is full delicious options. For a dinner to settle into there are plenty of a la carte restaurants, clubs and bars to choose from nearby too. And everything is so close. You'll love the handy distance to everything from this superb collection of standalone beach houses, is the ideal choice for Noosa family accommodation on Hastings Street and perfect for your next holiday. What are you waiting for? These Noosa holiday apartments are where you belong. Book now. There's lot's of fun to be had at this family accommodation Noosa. The Hasting Beach Houses in the heart of Noosa Heads offer townhouses in a surprisingly quiet, leafy and secluded position on Hastings Street. If you like to be handy to the action without. With a range of holiday activities to suit all ages, Noosa is the perfect holiday destination for your family. Noosa Head's Main Beach is nearby, just a couple of minutes walk, and behind the Hastings Street Beach Houses is Noosa Parade with Noosa River with the Noosa Ferry jetty a couple of doors down and the Boardwalk Boat Hire with luxury pontoons, cruisers, kayaks, and stand up paddle boards. The Gondolas of Noosa might be a winning punt for date night. Their gondolas seats up to six people in comfort and glide quietly through the luxury canals of Noosa Sound and waters of the Noosa River. This is a perfect romantic excursion for couples, or friends and family can join the tour. Our fully self contained townhouses come with well equipped kitchens, air conditioning and ceiling fans in the bedrooms. You also get Austar cable television, free wi-fi and a carport. Everything is close enough to walk to if you are staying local, or accessible on the Noosa Ferry. The food court next door at the Bay Village is full of fast and delicious options, but there are plenty of a la carte restaurants, clubs and bars to choose from nearby too. After a day at the beach there is nothing like a gelato ice cream to refresh. And everything is so close. You'll love the handy location of everything. What could be better than this family accommodation Noosa right here at the Hasting Street Beach Houses. Why not book now for your next holiday in Noosa. Make your next holiday in Noosa Heads a memorable one when you book in at our affordable family accommodation in Noosa Heads. The Hastings Street Beach Houses are a superb alternative to holiday apartments in Noosa. The townhouses offer ample room for the family to settle into for the duration of the holiday, and no one feels they are living in each others pockets as you might with some of the more economically-sized apartments that are available in Noosa Heads. Our two bedroom, fully furnished and self-contained apartments have everything you need for your holiday, with wireless internet access and Austar and plenty of space. The onsite facilities include the heated swimming pool, spa and BBQ area. Perfect for the family BBQ. Space is never a problem in Noosa, where you are living at nature's doorstep. Walk along the Noosa River and watch the boats pass by. Fish & chips on the river bank is always a starter, if not a picnic. Or really immerse yourself in the spirit of adventure and hire your own boat or catamaran. Then there is the Main Beach across from Hastings Street. It needs no introduction. As one of the few beaches along Australia's coastline that faces north this beach is a great for families, with gentle waves and surf patrolled 365 days a year. Don't forget, the famous Hastings Street shopping, and cafes and gelato bars nearby. Especially welcome after a hard day at the beach. For safe, spacious and affordable family accommodation in Noosa Heads, then the Hastings Street Beach Houses really should be sitting on the top of your list. Ring us or visit us online today to book your affordable family accommodation in Noosa Heads... we're looking forward to meeting you. You'll have lot's of fun at this Noosa Heads family accommodation. The Hasting Beach Houses are located in the heart of Noosa Heads. There you'll find the area has a vibrant after hours scene, but if you never venture out you'll be none the wiser with the townhouses occupying a surprisingly quiet, leafy and secluded position on Hastings Street. It's the veritable oasis of calm in the middle of the Noosa excitement. With a range of holiday activities to suit all ages, Noosa is the perfect holiday destination for your family. From the front entrance is Noosa Head's Main Beach, and right behind the grounds of the Hastings Street Beach Houses is Noosa Parade with Noosa River with the Noosa Ferry jetty a couple of doors down. Also nearby is the Boardwalk Boat Hire with luxury pontoons, cruisers, kayaks, and stand up paddle boards. If it's date night and the kids are taken care of you might like to try Gondolas of Noosa. Their gondolas seats up to six people in comfort and glide quietly through the luxury canals of Noosa Sound and waters of the Noosa River. Perfect as romantic excursion for couples, or a tour for a special group of friends or family. Our fully self contained townhouses come with well equipped kitchens (perfect for self catering), air conditioning and ceiling fans in the bedrooms. Also included is Austar cable television, free wi-fi and a carport. Everything is close enough to walk to if you are staying local, or accessible on the Noosa Ferry. As for a quick and easy dinner, the food court next door at the Bay Village is chocka with fast and delicious options, but there are plenty of a la carte restaurants, clubs and bars to choose from nearby too. It's the perfect Noosa Heads family accommodation right here at the Hasting Street Beach Houses. You book now for your holiday in Noosa. We're always popular. Here's some affordable accommodation Noosa Heads you should look at. The Hastings Beach Houses are are located in the heart of Noosa Heads. You won't blow your holiday budget on accommodation here. You can spend the savings you make on accommodation on all the good things that Noosa is famous for. The bars, the restaurants and cafes, not to mention the superb boutique shopping. It all comes to life on Noosa's Hastings Street. Step across Hastings Street to Main Beach and spend the day on the beach. This fully patrolled beach is one of Sunshine Coasts favorites with it's gentle waves and silky white sands. On Laguna Bay, you will find the more adventurous holidaymakers on jet skis, powerboats or paragliding. From Noosa Parade with the vehicle entrance is the Noosa River across the road. There you can catch the Noosa Ferry on the jetty nearby or hire some water sports gear if you fancy a spot of stand up paddle boarding or kayaking up the Noosa River and venturing through the everglades. The Hastings Street Beach Houses are a delight to behold inside. Clustered in a leafy enclave in the middle of Hastings Street you'd never know there was a vibrant and busy Hastings Street just beyond the front entrance. The fully self contained and free standing townhouses are nestled in the deliciously secluded and quiet leafy grounds. Surrounded by bush, you'll enjoy the early morning birdsong that greets you as you awaken. The two bedroom townhouses are perfect for couples or families looking for spacious and private accommodation in the Noosa Heads. With no intertenancy walls or floors like usual apartment accommodation to worry about — who wants to hear the neighbours, it's a very quiet and private stay that you can look forward to. Book your affordable accommodation Noosa Heads at the Hastings Street Beach Houses so you can have... more fun. The Hastings Street Beach Houses have been built for your relaxation and holiday pleasure. They have it all, the entertainment options of an urban destination; restaurants, bars, cafes and high-end retail boutiques. Surrounded by nature, it is Noosa River accommodation nestled in a cool, leafy Australian bush setting. Paradise for everyone. Our two bedroom, fully furnished and self-contained apartments have everything you need for your holiday, with wireless internet access, Austar and plenty of space. The onsite facilities include the heated swimming pool, spa and BBQ area. Perfect for the family BBQ. Feel like some river action? The river is at your fingertips. Hire a boat, kayak or stand up paddle board and explore the pristine Noosa River waterways. Or hire a BBQ pontoon and make a day of it on the water with the family and friends. If you want to go cruising on the Noosa River and just want to enjoy the ride, the Noosa Ferries offer recreational rides as well as a commuter service. The Eco Cruise provides a fascinating perspective of the Noosa Biosphere. You'll be equipped with binoculars for birdspotting and plant identification books. In between you'll stop for a short guided walk on land and then have morning tea back on the boat. After a big day out you may not feel like cooking. That's alright, the Bay Village next door makes it easy with a foodcourt next door. Who knows you may feel like going out. There are a couple of bars and clubs upstairs as well. Miss Moneypenny's is also a couple of doors down and always a reliable after hours destination. Noosa on the Sunshine Coast is an ideal holiday destination and the the Hastings Street Beach Houses are a great accommodation base for your next getaway. With its superb onsite facilities and exceptional position on Hastings Street, our Noosa River accommodation, the Hastings Street Beach Houses will not disappoint. Ring us today to make your booking. We’d love to see you soon. This classic Noosa Heads Affordable Accommodation is exactly what you've been looking for. Our location on Hastings Street provides the perfect combination of fine food and the beach life right next to the Noosa River. The Hastings Street Beach Houses have fully self contained and freestanding two bedroom townhouses, some with balconies overlooking the pool area. Our spacious and airy accommodation provides room for everyone in the family. The bedrooms occupy the top floor of the double-storey dwellings with living and kitchen areas downstairs. The townhouses also come fully-equipped with laundries. You'll also find the pool area with an adjoining BBQ area for family meals in the evening — the classic Queensland holiday experience that everyone loves. Getting around Noosa without a car is easy. Leave your car securely parked in the carport provided and walk, or take the Noosa Ferry. If you haven't had the pleasure of cruising on the Noosa River, the Noosa Ferries offer some fun recreational rides as well as the commutes to fun Noosa locations. The Eco Cruise is a good way to experience the Noosa Biosphere. You'll be equipped with binoculars for bird spotting and plant identification books. In between you'll break for a short guided walk and then returning to the boat for morning tea and the ride back. Gympie Terrace is the riverside version of Hastings Street; restaurants, cafés and bars beside the river. As well as lounging for coffee or cold drinks, the local hire businesses provide you with the opportunity to further explore the river with a kayak, standup paddle board or BBQ pontoons if you want to make a day of it. Our Sunshine Coast location is very accessible and just a thirty minute drive from the Sunshine Coast Airport. We are ninety minutes drive from Brisbane International and Domestic Airports. Getting here is easy. Leaving is a different story. You really will enjoy this Noosa Heads affordable accommodation. And miss it too when you leave. Book now. You'll find our Hastings Street holiday accommodation very much to your liking with our central Noosa Heads position and very attractive tariffs. The Hastings Street Beach Houses offer a remarkably good alternative to apartment resort living. All our townhouse style abodes have two bedrooms on the top floor, with living, dining and kitchen areas downstairs. You'll find all the mod cons. Air conditioning, wi-fi, Austar and ceiling fans in the bedrooms. Here you'll find spacious townhouses waiting for you. There's space to spread out, and on the upper levels from some balconies you can get a view of the pool area. You'll also enjoy the handy Noosa Heads position with the popular Noosa attractions are within easy walking distance. Main Beach is very popular, sheltered, calm and patrolled, this is the perfect family beach. More secluded coves and beaches are found along the headlands including Alexandra Bay and the Northern tip of Main Beach at First Point which is good for long boarders. On calmer days it is perfect for beginners. A word of caution, these beaches are not patrolled. After a day out in Noosa whether it's just hanging out on Main Beach, or travelling further afield to the hinterlands, The Hastings Street Beach Houses are great to come home to the cool indoor space. The pool area with the BBQ area make for a welcome return. Then again the food court at The Bay Village centre next door might be just the ticket for an easy night without cooking. At the food court there's also Gelatissimo which well is worth visiting for a refreshing gelato. So what are you waiting for? Book your Hastings Street holiday accommodation now, and when it's time, just throw everything in the car for your summer holiday and head to the Hastings Street Beach Houses. It couldn't be easier. How's this for Hastings Street accommodation Noosa Heads? Our holiday beach houses are some of Noosa's best kept secrets. Our freestanding two bedroom townhouses are located in the heart of Noosa, right on Noosa in a very special location. Although we're in the heart of Noosa Heads, it certainly doesn't feel like it. The Hastings Beach Houses are nestled in a lovely bush clad area of Hastings Street quite unlike the rest of the busy street. There you can find a quiet and secluded holiday location where you can relax in the shade of the trees and wake up to the native bird song. It's a wonderfully private spot for your Noosa holiday. The accommodation is set on two levels, with living and kitchen downstairs and the two bedroom upstairs. For larger families there is a third sleeping option with pullout sofa. The beach houses Hastings St Noosa Heads are also standalone structures with no inter-tenancy walls or floors to share with neighbours as you would with usual holiday apartments or hotel rooms. All the amenity of living so close to the heart of Noosa are available at this wonderful holiday accommodation complex. The Noosa River Ferry jetty is at the neighbouring Sheraton Hotel. You can travel up and down the river at your leisure and the Hastings Street Beach Houses back onto the Noosa River for a very picturesque position in Noosa. You just need to wander out the front of the courtyard to access Main Beach Noosa and the cafes, restaurants and bars. Even handier is right next door with the Bay Village shopping centre, just the place for your early morning coffee or a snack or a meal during the day. It's an easy option for after hours entertainment with several clubs next door, not to mention the food court with a dozen different fast and delicious options. Not bad for Hastings Street accommodation Noosa Heads is it. Get in fast before someone else does. Book now. You've just found the perfect family accommodation Noosa Heads right here at the Hastings Noosa. Located right in Noosa Heads, these standalone town houses, put you in the heart of the action. Directly out the front is Noosa Main Beach and right behind the grounds of the Hastings Street Beach Houses is the Noosa River with the Noosa Ferry jetty nearby. All the best parts of Noosa are close at hand, Main Beach, the restaurants and nightlife are all just a few doors away. Enjoy your holiday in the Sunshine Coast in these beach houses — with no inter-tenancy walls or floors to share, they are an attractive alternative to the usual holiday apartments. You will be pleasantly surprised with the attractive leafy locale of the Hastings Street Beach Houses. Nestled amongst canopies of trees and bush it's a very serene and peaceful setting. Cool and relaxing. Townhouse Accommodation Hastings St Noosa Our fully equipped townhouses come with well equipped kitchens, air conditioning and ceiling fans in the bedrooms. Summer in Noosa can get balmy. Also included is Austar cable television, free wi-fi and an adjoining carport. Unless you plan some excursions away from Noosa, everything is close enough to walk to, or accessible on the Noosa Ferry. For seafood of the day, grab the ferry to Tewantin for a quick jaunt to the Noosa Harbour Fish Market. You'll be able to find the everything you need for the BBQ. We have a fully refurbished heated pool and wading pool for the kids and a great BBQ area beside the pool. It's the perfect place to entertain friends and family, or to kick back and enjoy a good book beside the pool during the day. Now that you've found the perfect family accommodation Noosa Heads right here at the Hasting Street Beach Houses, you better get a hurry on. Book now for your holiday in Noosa. By the time the Noosa International Film Festival is here, Noosa will be warming up nicely. Book your Noosa International Film Festival accommodation here at The Hastings Street Beach Houses. Live like a local on Hastings Street and watch some new releases of Australian and international films and also see very special premiere of the Ecoflicks section of the Noosa International Film Festival. This showcase of environmentally themed films has been selected to celebrate the importance of living in the Noosa Biosphere. Between 3-6 November Noosa will be film buff central with The Hastings Street Beach Houses close to the action. Our freestanding 2 bedroom townhouses are Noosa's best kept secret. The secluded location provides you with ready access to good coffee, and excellent movies. You'll need good sustenance for the film marathon ahead. Films submitted to date have been from Iran, UK, Austria, Pakistan and Egypt. Of course there's a good number of Australian films in the mix too. These films range across genres including: drama, documentary, comedy, time-lapse and horror. The Noosa International Film Festival will be screened across several theatres spread across the shire.Two theatres in Noosa, the J Theatre Noosa and BCC Cinemas Noosa will lead the film festival vangard. In Pomona there will be films screening at the Majestic Theatre. This vintage theatre has been screening films continuously since 1921. In Eumundi is the Eumundi School of Arts Hall which will also be used for screenings. Make sure you book some extra time in Noosa too. An unfiltered look at the Noosa River everglades and other habitats is well worth experiencing. Hire a boat or kayak and paddle or motor up the Noosa River. It's a great way to re-calibrate the eyes and head after spending all that time in darkened halls. Break out the swimwear too, Noosa will be warming up nicely. Main beach, Noosa will also be looking very attractive. Book your Noosa International Film Festival accommodation here at The Hastings Street Beach Houses. Head to Noosa this June for the World Swim Series. To be held on Noosa's Main Beach on Sunday the 26th June, this is an event no swimmer should miss. This relaxed, non competitive event features a series or 4 options close to shore. Choose from the 1 lap (1 km) to the 5 lap (5km) designed to challenge in a safe environment. With safety crew and medical staff on hand, this is the perfect event to try your hand at ocean swimming. Take advantage of a range of features to also be held on the day. A number of swim clinics will be held on the day, session 1 will focus on swimming longer distances with a second session offering general open water swimming tips perfect for any swimmer. A stretch yoga class will also be held, this has been designed with swimmers in mind, take advantage of a sports massage either before or after your swim, hydrate at the onsite recovery station and shop at the World Series merchandise clearance stall. You will find Noosa and this event will offer something for everyone so book your Noosa accommodation today and take advantage of this fantastic Noosa event, the World Series Swim, June 26th. Stay at The Hastings Noosa on Hastings St and be in the heart of the action. A short walk to Noosa's Main Beach, The Hastings offers guests a great range of free standing beach house Noosa accommodation in the heart of Hastings St. All are fully self contained with well equipped kitchens, laundry facilities, free wifi, Austar, undercover parking and can comfortably sleep 4, or 5/6 guests. Onsite facilities include a fully refurbished heated swimming pool and bbq facilities, perfect for relaxed dining after the swim event. We look forward to seeing you soon in Noosa for this fantastic Noosa event. The Noosa Food & Wine Festival is not just about food and wine, its about celebrating lifestyle and what better way to do this, than heading to the beach on Sunday morning for a surf! ENJOY great Australian wines, artisan foods, culinary talent and the finest Queensland produce at the new-look Noosa Food and Wine Festival from May 20-22. There will be a range of events staged in the Festival Village on Main Beach as well as others across the region in restaurants and the hinterland. It's on again! The annual Noosa Food and Wine festival returns in 2016. Being held in Noosa from the 20th to the 22nd May 2016, it is a foodie lovers ideal weekend with a wide and varied program that showcases not only local food and wine but the beautiful Noosa region. Join with like minded food and wine lovers as you discover new flavours and taste local produce and wines. Join more than 50 Australian chefs including Pete Evans, Matt Golinski, Ian Curley, Ben Bertei, Ben O'Donoghue and Massimo Mele as they prepare lunches and dinners at some of Noosa's finest restaurants. Take your pick from local restaurants including Noosa Beach House, Miss Moneypenny, Arcuri, Embassy XO, Noosa Beach House, Gaston Noosa, Locale and Wasabi. Enjoy presentations from top chef, learn more about the slow cook revolution, watch cooking demonstrations or take a champagne masterclass. This years Noosa Food and Wine festival offers something for everyone so book your tickets and Noosa accommodation today and we look forward to seeing you real soon at this years festival. Stay in the heart of Noosa on Hastings St but away from the hustle and bustle. The Hastings Noosa is the perfect choice. These free standing beach houses are fully self contained with well equipped kitchens, laundry facilities, balcony/courtyard area, free Wifi, Austar and access to the headed swimming pool. Wander out of your Noosa accommodation onto Hastings St to discover a great range of cafes, restaurants and retail shopping. It is a short walk to venues for this years festival. Hurry, book your tickets today and secure your accommodation Noosa Hastings St before it is sold out. This Hastings Street Noosa accommodation offers a great range of of fully self-contained and stylishly furnished beach houses, perfect for your next Noosa holiday. All are freestanding and feature well equipped kitchens, laundry facilities, air conditioning, free internet access and private balconies. Use the on site facilities to completely relax, lounge by the heated swimming pool as the kids play in the wading pool, there is a sauna, spa and barbeque area all set in the landscaped tropical gardens. There is also an underground car park so you can totally relax knowing that everything and everyone is safe. This Noosa accommodation is run and managed by friendly and helpful staff who are always there to make your stay at perfect as possible and will help with all your needs. The staff are locals and know the area well so ask them for advise and directions to discover the best places on the Sunshine Coast. If you want a real break then you don’t even have to set foot in a car for this whole holiday. Everything you could possibly need is right at your fingertips. You are seconds from Hastings Street which is lined with restaurants, cafes, bars, boutique shops and art galleries that will tempt you in as you walk by. Enjoy the main beach where you can learn to surf, swim or just relax, explore the Noosa National Park which holds beautiful coastal walking tracks, teeming with natural flora and fauna or the Noosa River. A perfect place to get lost and discover the beauty of this area. Book your next getaway at this Hastings Street Noosa accommodation, you won't be sorry. If you have been craving the beach for your next holiday but are unsure on which is the best, stay at this Noosa Beach accommodation and discover just how perfect a family getaway can be. Nothing will ever beat a holiday spent on much loved Hastings Street, seconds from the beach and the river you will be living a life of absolute luxury. Hidden amongst a lush tropical garden at the beach end of Hastings street you will find Noosa’s best kept secret that is making holidaymakers from all over rush to the Sunshine Coast to enjoy a break in the sun. This family friendly accommodation is made up of individual two level beach houses, they are stylishly designed and furnished and are there to allow tourists to live like locals right on the beachfront. All townhouses are fully self contained to make self catering a breeze. Onsite facilities include a pool and bbq with each townhouse having its own balcony area. You will not regret choosing this accommodation to be your new holiday home away from home, it will not disappoint you with its great facilities, friendly staff, close proximity to the beach and spacious apartments, you will adore everything about it. Walk to the beach, the Noosa River, wander the National Park, see a movie or explore the river by ferry. Noosa offers a vast range of fun holiday activities perfect for your next family holiday. What are you waiting for? This Noosa Beach accommodation is where you belong. Make your holiday the best it can possibly be and stay at this Hastings Street Noosa accommodation. A family holiday will never get better than when you spend it in the heart of Noosa, seconds from Noosa's Main Beach, the Noosa River and close to all the shops, cafes and restaurants on Hastings St. Noosa and especially this Hastings Street Noosa accommodation is the ideal choice for families, singles and couples and will provide everyone with an unforgettable beach side holiday, full of sun, relaxation and new adventures. This fantastic location on the Sunshine Coast is a great base to use as you explore the region, head to the other coastal towns, or inland to the hinterland and find the charming country towns and their local markets where you will find food and souvenirs on your Noosa holiday. Nearby your resort you will find Noosa Junction which has cinemas and even more shopping for those rare rainy days. You could spend many hours on the Noosa River, getting to know the town from the crystal clear waters or fishing right off the river banks. The whole family will enjoy these lazy summer days on the river or at the beach frolicking in the ocean. When it comes to resorts in Noosa there are a lot to choose from but these unique and spacious beach houses are rather special and will give you and your loved ones an absolutely perfect beach holiday. Ring our friendly staff today or visit the website and book this Hastings St Noosa accommodation for the holiday of a life time. Looking for the best places to stay in Noosa? Well the wait is over as these Hastings St beach houses are the best accommodation in the area and ideal for that memorable holiday. These beach houses on Hastings street are ideally located in the heart of Noosa and right in the middle of the Sunshine Coast, which means it is the perfect base for your holiday adventures. There are many Sunshine Coast holiday activities including Australia Zoo, Aussie world, Underwater World and the Big Pineapple which all the family will enjoy. Visit other holiday beachfront locations including Coolum, Maroochydore, Alexandra Headland and Mooloolaba. There is no need to venture too far from your accommodation as Noosa itself is the perfect holiday destination. Relax on Noosa Main Beach, hire a boat and explore the Noosa River, wander Noosa's National Park, shop till you drop on Hastings St and enjoy dining sensations in any one of the cafes and restaurants in this area. Then at the end of your exhausting days out you can return to the best place to stay in Noosa and put your feet up in your individually designed and furnished beach house and relax on your balcony with a cool drink or enjoy relaxed dining utilising the onsite facilities. Doesn’t that sound absolutely perfect? If your answer is yes, then this resort is where you belong. These apartments are fully self-contained with equipped kitchens, laundry facilities, air conditioning, an open plan living and dining area that leads to the balcony, there are comfortable beds and free internet access, all this and more makes this the best Noosa Accommodation. The Hastings Noosa, one of the best places to stay in Noosa, ring us today to make your accommodation booking. Looking for Noosa self catering accommodation for your next getaway? This Noosa accommodation option is a collection of two storey, freestanding beach houses located right on Hastings Street, in the heart of Noosa. All are all fully self-contained with equipped kitchens, laundry facilities, air conditioning, flat screen televisions, free internet access and open plan living areas that lead out onto your own private balconies with an outdoor setting so you can enjoy those famous Noosa sunsets from the comfort of your own home. These beach houses will have all the modern amenities and comforts that you desire and are set a little back from the busy Hastings street you will be able to relax in perfect peace and quiet. However, you are still very close to all the action of Noosa, just a stroll to the restaurants, cafes, bars and boutique shops that line Hastings Street, so you can enjoy a fun night out without having to travel far. It is a short walk to Noosa's patrolled main beach, the Noosa River and the National Park. With so much to see and do on your Noosa holiday, it is the perfect location for all the family and with the beach houses sleeping up to 6 people there is plenty of room for all the family. Relax by the heated swimming pool, the kids can play in the wading pool, you can cook up a storm on the barbeque or chill in the sauna. All of this is set in the tropical gardens and will help you to fully relax into the holiday spirit. Book this Noosa self-catering accommodation now. There are plenty of places to stay in Noosa, however there is nowhere as unique and dream-like than this Noosa resort. This accommodation is located on Noosa's Hastings Street, right in the heart of the esplanade and seconds from the beach. Offering guests something a little more special, with more space and comfort they will provide you with an unforgettable holiday. Perfect for families, couples and singles you will not find a place to stay in Noosa quite as wonderful as this one, it is sure to give you and your loved ones a beautiful beachfront holiday on the Sunshine Coast. 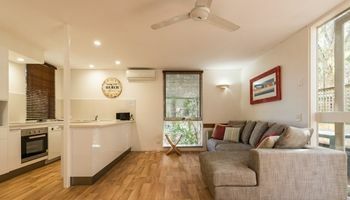 This Noosa accommodation is fully self-contained with equipped kitchens, laundry facilities and spacious interiors, making them exactly what you are looking for if you want a self-catering holiday on one of the most stunning beaches on the Sunshine Coast. Nestled perfectly on Hastings street you will find that you are walking distance to the al fresco dining, art galleries, boutique shops, cafés and beachfront restaurants that Noosa is famous for. From the beach you can easily access Noosa Woods, the Noosa River or the National Park, which is home to a great range of wildlife and scenic walking tracks offering breathtaking views over the ocean, Laguna Bay and back to Noosa. So if you are in the need of a calming and picturesque getaway where everything you need is within your reach, then this place to stay in Noosa will suit your whole family. This is the only place to stay in Noosa. This accommodation in Noosa Heads has a newly refurbished heated swimming pool, kids wading pool and barbeque area nestled in a lush tropical right on the beach. When you stay here you will be on the beach end of Hastings Street, which is the most popular street in Noosa and is lined with al fresco restaurants, cafes, boutique shops and bars that are just seconds from your holiday accommodation. However, the hustle and bustle of Hastings street will not reach you in your beach houses as it is set back from the road and is totally submerged in a tranquil garden that will give you the peace and quiet you have been craving. When you stay at these Noosa apartments there are so many options that each day will be new and exciting, lounge at the beach and frolic in the ocean, read a book by the pool, cook dinner under the stars on the barbeque and enjoy a Noosa sunset on the Noosa River. You can use the river and spend hours there doing all sorts of different activities. Of course you can trek into the National Park and walk along the coastline keeping your eyes peeled for whales and dolphins. If you are feeling adventurous then you could always head out and explore the Noosa hinterland , discover the quaint country towns and local markets, or visit local attractions like Australia Zoo, Underwater World Sealife, Aussie World and Ettamogah Pub. All this and more is on the cards for you and your loved ones when you enjoy great accommodation in Noosa Headson your next holiday. Are you frantically searching for Noosa family accommodation for your next holiday? If you want something that suits everyones individual needs while still being affordable and centrally located, then this resort is the one for you. You can find the absolute perfect accommodation choice right on Hastings Street, a short stroll from Noosa's main beach and shops, restaurants and cafes. While you are enjoying your Noosa holiday, take full advantage of your position and head to the Noosa River, it will become one of your favourite places. Spend your days swimming, fishing and sunbathing right off the banks of the river. You can also kayak, paddle board, sail and jet ski along the river, get to know Noosa from this pristine waterway. Take a ride up the Noosa River on the Noosa Ferry which operates daily between Noosa Heads (leaves from just near The Hastings) and the Noosa Marina at Tewantin. Why not enjoy a sunset cruise (Tuesdays to Saturdays, time vary). and see the river in another light. The beach houses at The Hastings are all individually designed and stylishly furnished, so your whole family will feel totally at home and happy at this resort. All the apartments are fully self-contained with a kitchen, laundry, air conditioning, flat screen televisions, and free internet access. These houses are spread over two floors with stairs and are open plan with large private balconies. The on site facilities include a heated swimming pool, wading pool for the kids, a sauna, barbeque area in the garden and an underground car park. This Noosa family accommodation is the place for you. Ring us today to make your booking for your next holiday. Located directly opposite Noosa main beach, swimming, fishing and surfing is just moments away when staying in this Noosa holiday accommodation. Noosa is a water lover's dream, with the Noosa river and the beach at your doorstep you could be in the water first thing in the morning, to prepare you for the day. There are an abundance of activities you can do in all this clear water, swim, fish, surf, kayak, paddle board or stand up paddle board. Noosa is a water lovers holiday destination, ring us today to make your booking for your next Noosa getaway. From this Noosa family accommodation on Hastings street you can quickly get to the Noosa National Park via the coastline boardwalk and discover secluded coves, bays, surf breaks, clothes optional beaches and stunning outlooks. You musn't forget your camera when on holiday here because everywhere you look is another beautiful photo opportunity. From these Noosa apartments you can easily take a day tour over to Fraser Island, this is the biggest sand island in the world, your day there will be full of adventures, visit fresh water lakes, sandy beaches and ancient rainforests. Another day head into the Sunshine Coast hinterland and venture up the roads with magical views over the Glass House Mountains and visit the villages of Montville and Maleny or visit the much loved Eumundi Markets. Plenty to see and do here for all the family. Back on Hastings St Noosa after your busy day trips, you can put your feet up and unwind as the sun sets over the beautiful Sunshine Coast. This family friendly accommodation will capture your heart and you are bound to end up coming back year after year, with spacious fully self contained beach houses, great onsite facilities and a Hastings St location....what more could you want. Ring us today to book your Noosa holiday accommodation at The Hastings Noosa. Nestled in tropical gardens this Noosa family accommodation is a holidaymakers ideal location to have the best beachside holiday on the Sunshine Coast. Here you will find Noosa’s main beach breaking onto Laguna Bay which is a popular stop for fishing, jet ski tours and paddle boarding when the bay is calm, the perfect place for a bit of adventure. This collection of stand alone beach houses, is the ideal choice for Noosa family accommodation on Hastings Street and perfect for your next holiday. You will not be disappointed by this beautiful location, seconds from the beach, with your spacious two storey beach house accommodation and fantastic onsite facilities. Here you can enjoy peace and quiet on the waterfront without being miles away from civilization, Noosa combines a laid back beach vibe with a modern charm that makes it such a popular destination and these Noosa holiday apartments only add to that. They are just minutes from good coffee, delicious food, boutique shops, book shops and art galleries that you could spend a day exploring. These beach houses were built to take advantage of of the easy, simple beach lifestyle of Noosa, they are furnished in a casual modern way and scream Noosa. The living, dining and kitchen areas are open plan to make cooking, entertaining and relaxing easier and comfortable for everyone. Each lounge area opens onto a private balcony, the perfect place to read a book or relax with a cool drink. Look no further as these Noosa holiday apartments are the perfect place to put your feet up at the end of a long busy day, visiting the local attractions, chilling on the beach or playing in the river. So come and stay at the best kept secret, The Hastings Noosa, fabulous Noosa Family Accommodation. If you are heading to Noosa for a well deserved break in the near future are you want a spacious hotel then book this self contained accommodation Noosa and have a dream-like holiday in the sun. These beach houses are located on Hastings Street right in the heart of Noosa, they offer their guests a little extra space and comfort on their next holiday. Perfect for singles, couples and families, these holiday apartments are fully self contained with equipped kitchen and laundry...perfect for those wanting to self cater on their Noosa beach holiday. Close to this Noosa family accommodation on Hastings street is al fresco dining, art galleries and boutique shops that Noosa is famous for. just a short walk to Noosa’s main patrolled beach, the national park and the woods, you will never be stuck for what to do each day. Of course while in Noosa you must take full advantage of the Noosa river and all it has to offer, swim and fish right off the banks. Kayak, paddle board, sail and jet ski along the river, getting to know the town from the waterways.....lots of holiday fun for all the family. These Noosa apartments are sure to please everyone. each beach house is individually designed and furnished, they are all fully self contained with air conditioning, fully equipped kitchens, laundry facilities, two floors with stairs with large open plan living with private balconies and flat screen televisions and free internet access so you can be on a beach holiday with all the comforts of home. At this self contained accommodation Noosa there is a heated swimming pool and wading pool for all the guests to enjoy, a sauna and barbeque area in the garden and a underground car park so you can relax knowing everything is safe. Nature is right at your doorstep when you stay here, wander along beautiful main beach, follow the coastline boardwalk into the National Park and trek through the rainforest, the options are endless when you stay at The Hastings, self contained accommodation Noosa. One of Noosa’s best kept secrets is being revealed and all holiday makers are rushing to the Sunshine coast, this Noosa Heads accommodation is the place to be for everyone looking for luxurious accommodation, seconds from the beach in the best seaside town there is. Hidden amongst a lush tropical garden at the beach end of Hastings Street are these beautiful beach houses, built to let tourists live like locals. Does this sound like you? Ring us today to secure your Noosa Heads accommodation for your next Noosa beach holiday. Each of these Noosa accommodation on Hastings Street apartments are stretched over two floors with stairs, while on this holiday you can be fully self contained with fully equipped kitchens and laundry facilities and spacious living and dining areas, opening up onto your own private balconies, where you can enjoy some peace and quiet and a perfect Noosa sunset. The superior beach houses at this Hastings street accommodation Noosa offer an extra living area, great for bigger families or groups of friends, so everyone can have their own space. The resort has newly refurbished swimming and wading pools, there are barbeque facilities available, nestled in the tropical gardens, so dinner can be cooked poolside under the stars. Hastings street is the most popular street in Noosa and therefore is home to all the best restaurants, cafes and boutique shops that will tempt you inside as you walk past. You would never know you were in the busiest place in tow, the seclusion and privacy of this Noosa heads accommodation is the best on the Sunshine Coast. On this street you can have your morning tea or coffee to start the day, dine out with lots of different cuisine options and go hunting for treasure in the lovely boutiques. Or if even that sounds like too much then just head straight to the beach and lounge there and frolic in the ocean. This could be you if you stay at this Noosa Heads accommodation. Check out the Hastings Noosa website for our current Hastings St accommodation specials. Offering great value for money, our specials won't be beaten. Ring us today to discuss what special deal we can do for you when you deal direct with the resort. Perfect for singles through to groups holidaying together, the Noosa beach houses location in Hastings St and opposite Noosa's Main Beach can't be beaten. Walk to the Noosa National Park, the Noosa River, Main Beach and a great range of cafes and restaurants while indulging in a spot of shopping along Hastings St.....perfect! Stay longer and enjoy the Eumundi Markets, the weekly Noosa Farmers Market or the Peregian Beach beachfront markets. The Hastings Beach Houses Noosa accommodation offers a great range of fully self contained and individually furnished beach houses. All beach houses are free standing and feature full laundry and kitchen facilities including microwave, oven as well as a full sized fridge. Relax with a range of onsite facilities which include a recently refurbished heated pool, communal bbq area, private balcony, wifi and Austar. No need for the car with everything you need on your Noosa holiday at your fingertips when you stay right on Hastings St at the Noosa Beach Houses. Check out our current accommodation specials page for all of our current Hastings St accommodation specials. We'd love to see you soon in Noosa for your next well earned holiday. Looking for Noosa accommodation on the Beach for your next holiday? The Hastings Noosa is the perfect choice and while not located right on Noosa's Main Beach is it right across the road so accessing the beach is really very easy. The Hastings Beach Houses are located right on Hastings St Noosa and across the road from the beach. With everything you need at your fingertips for your holiday, this is the perfect accommodation choice. Shop till you drop, enjoy a leisurely breakfast, coffee, juice, cocktail in a trendy bar or dinner in an award winning beachfront restaurant, Noosa and the Hastings Beach Houses are the ideal choice. The Noosa Beach Houses on Hastings St are perfect for singles, couples and families with a range of fully self contained and individually free standing beach houses. All beach houses are fully self contained with full kitchen facilities including microwave, oven and full sized fridge. Relax with a wide range of features which includes Austar, WiFi, full laundry facilities, private balcony area, bbq facilities and a fully refurbished heated swimming pool. The Hastings Noosa Hastings St is the ideal base for your Noosa holiday with the Noosa National Park and great surf breaks all within walking distance. Nearby you will find Noosa Junction with its cinemas and shopping, Gympie Terrace and the Noosa River, Tewantin, with the Eumundi Markets a must visit on your holidays. Noosa is the ideal holiday destination with a great range of holiday activities at your fingertips when you stay at the Hastings Beach Houses where you will enjoy Noosa accommodation on the beach. They certainly make the Noosa Long Weekend Festival the best excuse in the world to extend your weekend. Music, gastronomy, literature and visual and performing arts lovers rejoice, there is a veritable feast of events coming to Noosa between the 14 to 26th of July, this year. Just take a closer look at the programme. For two weekends, it's a full programme with lots of choice for lovers, lovers of the arts and gastranomes. Don't forget accommodation for the Noosa Long Weekend Festival can be had right here at the Hastings Street Beach Houses. Live like a local in your own two bedroom free standing "Beach House". All the freestanding Hastings Beach Houses are individually furnished, air conditioned and fully self contained. All have fully equipped kitchens and feature spacious living and dining areas that open onto your own private balcony. Enjoy the seclusion right in the heart of Noosa's Hastings Street, with your own free standing Beach House, set amongst sub-tropical flora. This Noosa resort is just a few steps from fine restaurants and boutique shopping on Hastings Street. Experience the full force of human endeavour and creativity at the Noosa Long Weekend Festival. Whether you love opera, classical ballet, orchestral, or late night cabaret there's bound to be something here for you. How about a mental workout at any of the panel discussions? Nothing too strenuous, just enough questions, answers and debate to cleanse the palate, and some unfamiliar flavours and ideas to keep you on your toes. You're in luck if you like Dusty Springfield, love Mozart, or get a buzz out of orchestral performances and classical ballet. Make sure you book your Noosa Long Weekend Festival accommodation right here at Hastings Beach Houses. Experience Noosa. Go casual, chill out, kick off your shoes and live at the beach for your next well-deserved time away. The perfect Noosa holiday experience isn't complete unless you try this Hastings Street accommodation. One of Noosa`s best kept secrets, The Hastings Beach Houses is a secret by design. Hidden amongst tropical gardens at the beach end of Hastings Street, Hastings Beach Houses are exactly as their name says. Beach houses on Hastings Street built to provide an accommodation experience that lets visitors live like a local. Each of the beach houses are set over two levels, have fully equipped kitchens, with spacious living and dining areas opening onto your own private balcony, either overlooking the lush tropical rainforest, or the pool and courtyard. The superior beach houses have an extra living area. Just the thing for bigger families. Everyone can have their space. The resort has a lovely heated swimming pool that has only recently been refurbished. For under fives, there is a wading pool if they want to just get their feet wet. There are also bbq facilities available, so dinner time can also be beside the pool. The Hastings Beach Houses are just metres away from the famous dining and shopping strip, although you'd never know it. The seclusion and privacy offered with this resort are second to none. But there you can find your daily cup of coffee to ignite your day, dine out and enjoy some of Noosa's finest cuisine, or just head to Main Beach. Sounds like a holiday doesn't it? You'll find the Noosa Main Beach breaking onto Laguna Bay which is a very popular spot for fishing, jet ski tours and stand up paddle boarding when the bay is calm. Just the place if you're in the mood for a bit of adventure. The next time you are planning a holiday in Queensland, in Noosa to be exact, make sure you book your accommodation with Hastings Street Beach Houses. Life is a beach. This Noosa holiday accommodation on Hastings Street is possibly one of the best kept local secrets. Nestled amongst lush tropical gardens, this collection of standalone beach houses is superb accommodation for guests who enjoy privacy and seclusion on their holidays without being a million miles from civilisation. The Hastings Street Beach Houses are just minutes away from the civilised influence of good coffee, fine food and boutique shopping of Noosa's famous Hastings Street. It's easy to forget that the Hastings Street Beach Houses are situated in the heart of Hastings Street. You'll find the beach houses are private, spacious and airy abodes. Built to take advantage of the easy beach lifestyle, and furnished with a casual chic that is characteristic of the Noosa style. The living spaces are open plan, with the whole accommodation space set over two levels, all with two bedrooms. Each lounge opens out onto a balcony, and in the case of the Superior Beach Houses there is another lounge for additional room to stretch out. Now that you've found the perfect spot to hang your hat in Noosa, you're all set to enjoy the nearby attractions. The delights of the urban world are just down the road, but there's also the nearby Main Beach, and Noosa River to enjoy. A day trip to Main Beach is an ideal outing with the kids, it's a silky white sand beach that is fully patrolled. The waves are mild and on some days are just enough for learners to stand up and ride. The Noosa River is also an excellent body of water to mess around on. While there are few chances of a river punt to hire, there are innumerable boat hire shops along Gympie Terrace where you can choose a runabout, cruiser or BBQ pontoon. Fish, cruise, relax. Another lazy day taken care of. Discover this Noosa holiday accommodation on Hastings Street for yourself. Book your holiday at the Hastings Street Beach Houses now. This is a fantastic alternative to holiday, apartment living in Noosa. Why not consider Noosa beach house accommodation? Our standalone beach houses are individually furnished, air conditioned and fully self-contained holiday accommodation. Just the place for families to enjoy without the worry of disturbing neighbours, or being disturbed by neighbours. Most holiday apartments are separated only by a partition wall. At Noosa Beach Houses, all our accommodation has 2 bedrooms that sleep between four and six people depending on the option selected. All have a private balcony that extends from the lounge, with the Superior Beach House option looking out over the pool. The Superior Beach House option also has a second lounge area for even greater living space. You'll also enjoy the convenient proximity to Noosa's famous Hastings Street dining and shopping strip. For fine dining or a caffeine boost, you're just minutes away. On Hastings Street of course. The beach is even closer. Main beach is just a block away and you have ready access to the other North Shore beaches, bays and coves. The seclusion and peaceful tranquility is never far. Also around the corner is the beautiful unspoilt Noosa biosphere. A relatively compact area that boasts an incredible range of habitats, which are home to an equally diverse range of flora, fauna and wildlife. Hire a runabout or cruiser for a day and discover for yourself the delights of navigating the Noosa River system. A lot of interesting viewing is made cruising past the multi-mllion dollar row, with private jetties and exclusive yards. Beyond the spectacle of real estate, the various ecosystems reveal themselves, from the mangrove wetlands to the estuarine river mouth, rich with plenty of birdlife to spot. Sounds idyllic doesn't it? Book your Noosa Beach House accommodation here. Book your accommodation in Noosa to take advantage of one of the many Noosa events that is scheduled to be held throughout 2015. Noosa Festival of Surfing - (7th - 14th March 2015). Head to Noosa for the annual Noosa festival of surfing. Now in its 24th year, this event is one of the biggest surfing events in the world with more than 600 entries from 14 countries. Join the fun with free movies, live bands, with perfect waves expected at the top Noosa surf breaks. Ultraman Australia - (9th - 11th May 2015). This is the ultimate challenge with competitors swimming 10kms, biking 420.2kms and running 84.3 kms. Noosa is lucky enough to be part of a world series with only three Ultraman being held in the world. Come and support these amazing athletes as they take on this epic challenge. Noosa International Food and Wine Festival - (14th - 17th May 2015) Noosa plays host to the biggest foodies party when world renowned chefs join the best in Australia to produce the best foodie experience for visitors. Chefs join with food producers, winemakers for a range of events which include food trails, masterclasses and degustation dinners. Noosa Long Weekend Festival - (17th - 26th July 2015) Something for everyone at this years 10 day event which will be filled with arts, literature, forums, food and fun. Book your accommodation now for this cultural Noosa event. Noosa Jazz Festival - (3rd - 6th September 2015) Music lovers from around Australia will head to Noosa for this years Jazz Festival. Join in the fun with jazz river cruises, Noosa Jazz Golf Day, Tastings on Hastings and fun galore expected in 2015. With such a great lineup of events in Noosa in 2015, now is the time to book your Noosa accommodation. The annual Noosa Jazz Festival is set to be held in Noosa from the 4th to the 7th of September with the festival village to be at the Noosa Lions Park. It is here that music lovers will converge to hear a fantastic lineup of artists perform including Grace Knight, Vince Jones, Emmas Pask, Steve Clisby and Jan Preston. Other festival events include Jazz River Cruises, market and food stalls, master classes, Legends Lunch Series and the popular Tastings on Hastings event. With something for everyone, this event is again expected to attract a large crowd so get in early to secure your Noosa event tickets and accommodation in Hastings St Noosa....a short walk to the festival. The Hastings Beach Houses are conveniently located, in Hastings St a short walk to the Noosa Lions Park, the event village headquarters, Noosa's Main Beach and the Noosa National Park. Being located on Hastings St means you are in the heart of the action (but set back from the street so nice and quiet), a short walk to a great range of alfresco coffee shops and cafes, beachside dining, boutique shopping and trendy bars. The Hastings Noosa Beach Houses offers a great range of fully self contained 2 bedroom beach houses that can sleep 4 or 6 people in comfort. Each beach house is individually furnished over 2 levels, fully self contained with full kitchen and laundry facilities, has access to WiFi and Austar, has a fully refurbished heated swimming pool and wading pool. Everything you need for your Noosa getaway during the Noosa Jazz Festival is at your fingertips when you stay at the Hastings Noosa. Ring us today to secure your Noosa accommodation on Hastings St. Heading to this year`s Noosa Long Weekend Festival and wanting accommodation on Hastings St Noosa? Look no further than the Hastings Beach houses for an enviable Noosa location and great value. This well known cultural event is set to be held in Noosa over 10 days and nights from the 18th to the 27th of July with a fantastic program announced including theatre, dance, music, literature and of course fabulous food and lots of fun. The event kicks off with a cocktail party and Queensland premiere at The J of the musical comedy Forbidden Broadway - Greatest Hits. With a diverse and eclectic lineup there is bound to be something for everyone. Get you tickets now for this fantastic Noosa cultural event and don't forget to book your Noosa accommodation at the Beach Houses. The Hastings Beach Houses is located on Hastings St and is set back from the road in a tropical setting. Walk to some venues for the Long Weekend Festival, great alfresco dining choices, patrolled Main Beach, trendy bars and great boutique shopping. Everything you need for a great stay in Noosa is at your fingertips when you stay at Noosa Beach houses. These free standing 'houses' are fully self contained with full kitchen and laundry facilities, individually furnished and have a private balcony, Austar, wading pool and bbq facilities. Ring us today to secure your Noosa accommodation Hastings St for the Noosa Long weekend Cultural Festival. Wanting a Noosa Beach House to rent for your next Noosa getaway? The Hastings Noosa Beach Houses has the perfect solution for you with your own free standing 2 bedroom fully self-contained and individually furnished beach house ready for you to rent for your Noosa holiday. These beach houses are spacious, air conditioned and feature an open balcony area, fully equipped kitchen and laundry, direct access telephones, Austar, WiFi and access to communal facilities including the recently refurbished heated swimming pool and bbq area. Everything you need for your family holiday can be found at the Hastings Beach Houses in Noosa. Ideally located, a short walk from Noosa's patrolled Main Beach, Hastings St with its wide variety of casual coffee shops, cafes, beachside dining choices and award winning restaurants. Wander Hastings St to find a great range of upmarket boutiques, jewellery and gift shops, art galleries and homeware shops. Wander the Noosa boardwalk to discover great surf breaks, secluded coves and private beaches. Take a hike through the Noosa National Park and follow any one of a number of its trails to discover natural flora and fauna. Noosa is the ideal holiday destination for singles, couples as well as families and The Hastings offers the perfect accommodation choice in its Noosa Beach Houses for Rent....why not ring us today to secure this Noosa accommodation option for your next getaway. Come join us in Noosa during June, July & August. Great Noosa accommodation specials on offer. Take advantage of Jetstar`s current 10th birthday specials with discounted flights from Sydney or Melbourne right to Maroochydore airport, a short drive from Noosa. Why not beat the chill, come and join us in Noosa during June, July and August and take advantage of these special accommodation in Noosa prices in our standard 2 bedroom Beach Houses.. Pay 3 and Stay 4 (mid week only), Pay 4 and Stay 5, Pay 5 and Stay 7 Ask us about upgrading to our superior Beach Houses. These specials are subject to allocation and availability and for new direct bookings only during June, July and August 2014. Get ready for the May season of festivals in Noosa. The Cricks Noosa Festival of Surfing is on from the 9th to the 15th of May and the Noosa International Food Festival follows fast on the heels of the Surfing Festival, starting on the 15th and finishing on the 18th. If you are planning to come to either festival, you had better book your accommodation soon. The town fills up pretty quickly and we're starting to see our bookings come in. Hastings Street Beach Houses are the perfect accommodation to experience the delights and pleasures of Noosa. With your own free standing Beach House, set in sub-tropical surrounds just a few steps to boutique shops and fine restaurants and nature right at your doorstep, we are just moments away from Noosa's pristine Main Beach, Laguna Bay and a casual stroll to Noosa's famous National Park and the beautiful Noosa River. This is a great accommodation setting for a spectacular season of surfing and foodie explorations. The Crick’s Noosa Festival of Surfing, hosted by the Noosa Malibu Club will be based at festival village on the sand at First Point, Noosa Heads. Refreshments at the licensed XXXX bar and food stalls will be available throughout the day. There will also be an onsite stage for live music and films in the evenings. Wrapped around the six day surf competition will be—the professional men’s and women’s events, teams contests, 20 amateur divisions and a new multi-discipline invitational event, the Jeep Waterman Challenge: an exciting new event that will feature some of the world’s best all-round surfers who have been invited to compete in longboarding, shortboarding, finless surfing and body surfing rounds to determine the best all-round surfer. The one-day Jeep Waterman Challenge will be held over a three-day waiting period before the festival. The Noosa Food and Wine Festival will have over 200 invited chefs, producers, winemakers and the media descending upon the village of Noosa and its iconic surroundings to join foodies from all over the world. The festival will also include food trails to the Hinterland and river, the beach and the Noosa National Park. Book your accommodation at the Hastings Street Beach Houses now to avoid disappointment. Go on, live like a Noosa local. You better get a wiggle on if you've been thinking about the The Noosa International Food & Wine Festival which runs from May 15 - 18, 2014. The biggest festival of the season, celebrating Queensland and Australia's most spectacular food on one of the prettiest beaches has already kicked off ticket sales. Some of the most popular events have already sold out! (nostalgic Sixties beach party, the Asian Food Trail) but there's plenty of tickets available to the rest of the festival. With your own two bedroom free standing "Beach House" at The Hastings Beach Houses you can live like a local while staying for the festival. All the beach houses are individually furnished, air conditioned and fully self contained with fully equipped kitchens, not that you’ll be using them during the festival. They also feature spacious living and dining areas that each open onto a private balcony. Ideal for entertaining friends and guests while in Noosa. The great degustation is a really big feature of this year’s festival and there are several opportunities to enjoy a meal that in simple terms can only be described as a train of small courses cleverly designed and cooked to complement each other, with each course accompanied by complimentary wines or beer matches. A lunch in the festival village marquee on the beach brings together the state's top chefs for a degustation lunch - Philip Johnson, Matt Golinski matched with Queensland wines. If you've missed out on the local trail tour this is the relaxed way to sample the region's tastes for a mere A$135. Or how about the Westpac Premier International Degustation: $495 gets you the festival grand slam including San Pellegrino Top 50 chefs - David Thompson of Nahm, Thailand - plus London's Bruno Loubet and Alvin Leung of Hong Kong's Bo Innovation; or the Netanya Premier eight-course degustation with e'cco's Philip Johnson, Justin North and Cutler & Cos' Andrew McConnell. Alvin Leung's Bo Innovation, degustation course number 2. Foie gras, spicy Korean miso, pear, ginseng, sea urchin, sea bladder and smoked sea bream. Or how about sampling tastes from around the world - on the beach, with a sunset seafood feast. Not exactly a degustation, but a an amazing array of courses… in seafood. Jim Berardo hosts seven of Aussie's hottest Italian chefs (including Guy Grossand Massimo Mele, for one wonderful sunset feast at Noosa's National Park, MCd by the larger-than-life Maria Venuti (A$295). This gastronomic event matches food with Japanese Asahi beer and cider, Aussie bush barbecue, the best French Champagnes and then some great, local seafood and produce. This is just the merest sampling of what's in store for The Noosa International Food & Wine Festival. To take a closer look at the program please jump over to the festival site. To book your accommodation right next to the action, please click here. Hurry now as bookings for the Festival and accommodation fill fast for this very popular Noosa event. Noosa is sure going to be busy on Australia Day. The perfect time for a quick break, or maybe an extended holiday visit before embracing the working year ahead. We've listed just some of the events that are happening and whether you're a yachtie, a social drinker (aren't we all?) or party enthusiast, there is bound to be something to enjoy on Australia Day in Noosa this year. Apollonian Hotel, Boreen Point has a spit roast and jazz with John Withers All Strung Out Jazz 5+. The wood-fired spit-roast is prepared in the rustic bush kitchen. Bookings essential. Cafe Le Monde, 64 Hastings Street, Noosa Heads, has live music with Band Of Frquencies and Jahzen. Australia Day Awards and family fun, Noosaville Lions Park, Gympie Terrace, Noosaville. There will be plenty of Aussie fun for all the family at the Noosa Australia Day celebrations in Noosaville. The event is presented by Tewantin Noosa Lions Club and Rotary Club of Noosa. The Australia Day Noosa Local Legends awards will be presented, celebrating the outstanding achievements of individuals and groups in the region. Eumundi Live facebook.com/EumundiLive. 1-5:30pm at Eumundi Amphitheatre, Memorial Drive, Eumundi. All-ages music festival in Eumundi Amphitheatre, with a feast of pop, funk, dance and rock. Headlining are The John Steel Singers, along with The Dawn Chorus, Barry Charles and the Deeper Beat, and Tea Society. There’s a KidZone and food and drinks available. Profits go to local charities Sunshine Coast Hospice, Wildlife Rehabilitation Centre and Riding for the Disabled. Advance purchase tickets: Adult $22; concession $12, kids under 12 free; discounts for Friends of Eumundi Live – see eumundilive.com.au or at Berkelouw Books Eumundi. Tickets at the gate $28. Beach Party at Sunshine Beach SLSC sunshinebeachslsc.com.au at Noosaville Lions Park, Gympie Terrace, Noosaville. It’s an Australia Day Beach Party at Sunshine Beach Surf Life Saving Club with Aussie giveaways, $15 giant Aussie burgers and listen to the Triple J Hottest 100 on the deck. Bump on the Beach info@bumpnights.com.au at Noosa Spit, 2-9pm. A day of sun, sand, sports, good friends, cold drinks, and of course Big BUMPY HOUSE BEATS and other SPECIAL MUSICAL TREATS. Discover one of Noosas best kept secrets, The Hastings Beach Houses. With your own two bedroom free standing "Beach House" you can live like a local. All the Beach Houses are individually furnished, air conditioned and fully self contained. All have fully equipped kitchens, they also featuring spacious living and dining areas opening onto your own private balcony. So for the weekend of Australia Day, make it special by booking your accommodation with us. It’s official. Noosa is Queenslands most popular beach. The Courier Mail has just reported this year’s hit list with Noosa topping out at number one. Find your ideal holiday accommodation in Noosa right here at The Hastings Beach Houses. Just minutes away from Main Beach with all the onsite amenities you could wish for; a pool and adjoining barbeque area for those perfect summer evening meals. The Hastings Beach Houses location puts you right in the heart of the action too. Our Hastings Street position puts us just a stroll away from a la carte dining, handy cafe diners, and the boutique shopping strip. Adventure is just outside your door when staying at The Hastings Beach Houses. At Laguna Bay you can get your fix of watersports action hiring a motor launch or jetski. We’re also a casual stroll away to Noosa's famous National Park and the beautiful Noosa River. The Everglades are also fast becoming a popular attraction in Noosa. The Cooloola Recreation Area of the Great Sandy National Park in Queensland is home to a vast waterway and wetlands system. Perfect for kayaking and canoeing, either on your own or with a guided tour group. As part of the 150,000-hectare Noosa Biosphere Reserve, the everglades are heaving with interesting ecosystems to explore as you paddle along the waters. The Biosphere provides a safe haven for many species, from inland dolphins to dugongs and sea turtles, mangrove-dwelling butterflies and migratory shorebirds. A veritable trove for wildlife spotters. So whatever your recreational persuasion, Noosa is bound to have something for you. You know you’ll have the holiday sorted when you book your accommodation at The Hastings Beach Houses. With our standalone accommodation, you won’t be sharing somebody else’s holiday through common walls. Privacy in our stylish yet casual townhouses will be all yours. Book now before we book out. Come and check our availability here. January is the perfect time to book your getaway to Noosa and the Sunshine Coast. With its summer feel, sand and great beaches combined with two of the Sunshine Coast's favourite events...the ginger flower and food festival and Australia Day at Aussie World. Book your Noosa beach house accommodation and enjoy great fully self contained townhouse in the heart of Noosa, a short walk to patrolled beaches, great shopping, alfresco cafes and fine dining restaurants. All this a short drive to the venues for these great events on the Sunshine Coast. This annual event held at The Ginger Factory at Yandina showcases the largest display of flowering gingers and heliconias....a gardeners delight. With a number of presentations from celebrity gardeners and well known local chefs, you are bound to take home a tip or two for the garden or kitchen. The kids will love to ride the Ginger Train or the Overboard ride or learn more about honey and bees at The Super Bee. This great local event has something to offer all members of the family and a great family event to combine with your Noosa holiday. Head to Aussie World this Australia Day to join in the celebrations beginning at 9.00 am with the flag raising and singing of the national anthem before the annual dunny races. Arrive early to secure a front row position for this fun Sunshine Coast event. Spend the day with great entertainment, live music, awards ceremonies and food stalls as well as the usual fun rides at Aussie World. From the family friendly ferris wheel to the thrill seeking Redback ride, there is something for everyone at this years Austalia Day celebrations at Aussie World on the Sunshine Coast. We look forward to seeing you on the Sunshine Coast during January where there is so much to see and do for all the family. It’s little wonder that Noosa is such an alluring holiday destination. There is so much to do (or not do) with Noosa’s vast options of natural attractions and activities for the adults and kids. Not only are there the beaches, waterways and parks, but as always this summer, Noosa has an exciting range of activities to keep the kids entertained. When Saturdays, Tuesdays, Wednesdays, Thursdays. Where Très Noosa, Shop 7, Arcadia Street, Noosa Junction. When Saturdays 4, 11, 18 January at 11am and 2pm; Sundays 5, 12, 19 January at 1pm and 4pm. Where Noosa Art Theatre, Weyba Road, Noosaville. When Tuesday 21 January 2014. Where The J Theatre, 60 Noosa Drive, Noosa Junction. Kids aged 7-18 years can learn to sail with the Youth FunSail Holiday Program. Everyone welcome, no sailing experience necessary. Sail under instruction with qualified Yachting Australia instructors and assistant instructors on the Noosa River to Noosa Woods. Cost $65 per day, lunch and snack included. Kids aged 6-12 years can join Yachting Australia Tackers program, a fun, game-based course on the Noosa River in a friendly, safe environment. No experience required. Kids learn how to operate a small boat (OziOpti dinghy) in pairs or singles. Level 1 Tackers: 6-10 January, 9am-1pm Level 1 builds confidence and skills on the water, includes t-shirt, cap, water bottle. Level 2 Tackers: 13-17 January, 9am-1pm Level 2 develops skills further and includes t-shirt and dry bag. $330 for whole week, with certificate presentation and sausage sizzle. 5-12yrs are from 6-10 January, 13-17 January and 20-24 January, 9am-noon, $140 weekly or $35 daily. Shortees $20 per child per day or $80 per week. During school holidays kids under 17yrs play golf for free all day at Noosa Springs Golf Resort & Spa, when accompanied by a paying adult. There are also free guided golf cart tours every day for kids – spot a koala or kangaroo on a supervisedgolf cart adventure. For spacious and family friendly holiday accommodation book with Hastings Beach Houses and let us help you plan your family entertainment at our friendly help desk. Noosa is the perfect holiday destination and it offers a great range of Christmas events for both locals as well as visitors to join in. Wander down Hastings St and you will feel the festive spirit with local cafes, restaurants and shops getting in the spirit with decoration and lights adorning the area. Being a part of the Sunshine Coast Christmas Tree Trail, the beautiful fig in the middle of Hastings St round-a-bout is beautifully lit at night. The upcoming Christmas Boating Flotilla is set to be held on the Noosa canals on Friday the 20th December. Join with locals as they watch this colourful procession which is led by the Noosa Coast Guard to the beat of the Noosa Waters African Drummers. Everyone's favourite Christmas event, Carols on the River will be held just before Christmas on Sunday the 22nd from 7pm. Bring a blanket, picnic and join in the singing of favourite carols in the Noosaville Lions Park. Combine this with great Noosa beach house accommodation and you have the makings of a memorable holiday in Noosa on the Sunshine Coast. The Hastings Beach Houses are located in the heart of Noosa on Hastings St in the midst of well known resorts like the Sebel and the Sheraton Noosa and offer free standing beach house accommodation. Perfect for families, these beach houses are fully self contained with full kitchen and laundry facilities and are individually furnished. These spacious 2 bedroom beach houses have their own balcony with the view of the recently renovated swimming pool. Being located in the heart of Noosa, you will be within walking distance to the patrolled beach, great alfresco dining options, juice bars, ice cream shops, boutique shopping, art galleries and the venue for the Carols on the River. Ring us today to secure your Noosa accommodation at The Hastings and enjoy fully self contained beach house accommodation in the heart of Noosa....just perfect for the upcoming Christmas and school holiday season. 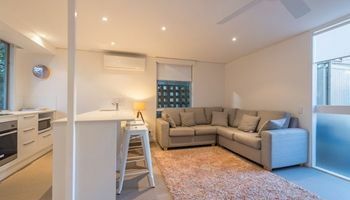 Heading to Noosa on the Sunshine Coast for the upcoming Slam beach volleyball festival and looking for accommodation in Hastings Street Noosa? Look no further than The Hastings Beach Houses. These free standing beach houses allow you to experience the real Noosa, staying in the heart of Noosa Heads on Hastings St. Set back from the road you will enjoy tranquility while being located a short walk to Noosa's main beach (the venue for this sporting festival), alfresco cafes, beachfront dining and boutique shopping. All beach houses are fully self contained with full kitchen and laundry facilities, are air conditioned and comfortably furnished. Enjoy onsite facilities that include a great swimming pool and bbq facilities for relaxed dining. With a range of beach house configurations including those with extra living areas, there will be a Noosa beach house at The Hastings that is just perfect for your requirements. December the 14th is the date of this fun event which will be held on Noosa's Main Beach. With the focus on fun, everyone is able to join in regardless of your ability level. With this Noosa Slam beach volleyball event expected to be the biggest beach volleyball festival in the southern hemisphere, you can expect a day of sun, sand, sport and or course fun. Get your friends and family together and register a team and get involved in this fun sporting event in Noosa, right on Noosa's beautiful Main Beach. Ring us today to secure your Noosa accommodation Hastings St and get ready for a fun filled day in Noosa on the Sunshine Coast. Friday November the 15th is the official day that people world wide remember the man, Steve Irwin and his passion for wildlife conservation, family and fun. Australia Zoo on the Sunshine Coast will on this day host this annual event with Terri, Bindi and Robert set to open the day. Be early with gates opening at 8.00 am and a sausage sizzle from 6.00 am for early arrivals. Wear your khaki gear to enjoy a 10% discount on your entry at the main gates. Secure your seat at the crocoseum for all the shows including the croc feeding. Special guests at this years event include Rove McManus, Tasma Walton and William Zillman. The kids will love the free face painting, colouring in competition, pony rides (11.00 - 3.00), giant slide and the springfree trampoline jump zone. Why not bring the family and stay for a few extra days on the Sunshine Coast to experience more of this beautiful area. Noosa on the Sunshine Coast is the perfect destination (about 45 minutes highway drive from Australia Zoo) and The Hastings Noosa offers great accommodation for all the family. The Hastings Noosa is ideally located in the heart of Noosa's Hastings St. These free standing beach houses are fully self contained with full kitchen and laundry facilities and they are individually furnished. These spacious houses are air conditioned and have their own private balcony. Take advantage of onsite facilities that include swimming pool and bbq areas. Step out of your beach house and you will find yourself a short walk from Noosa's main patrolled beach, Hastings St with its alfresco dining and boutique shopping. Wander the beautiful Noosa National Park or Noosa Woods. With so much to explore in the Noosa area you will not want to leave. 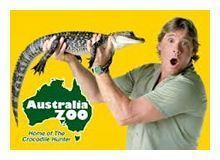 Ring us today to secure your Noosa Accommodation in the heart of Hastings St and we look forward to seeing you on the Sunshine Coast to celebrate Steve Irwin day at Australia Zoo. With the Noosa Triathlon Festival scheduled to be held from October the 30th to November the 3rd, Noosa is again set to host this world class event that will attract both national and international athletes to Noosa and the Sunshine Coast. This sporting festival includes a number of events including the Endura Noosa Run Swim Run, Noosa Tri Charity Golf Day, Noosa breakfast Fun Run, the Eyeline Noosa 1000 Ocean Swim, Noosa Legends Triathlon and the Noosa Superkidz Triathlon which will attract a wide number of competitors of different ages and abilities to this event in Noosa. The main triathlon event will be held on Sunday the 3rd of November starting at the Lions Park in Noosa Heads. The event begins with a 1500 m canal swim followed by a 40 km cycle along Gympie Terrace to the Noosa - Cooroy Road and back for the final leg, the 10 km run through to Noosa Sound and back. Be in the heart of all the Noosa action and stay at the Hastings Noosa Beach Houses in Hastings St. The Hastings Beach Houses are located in the heart of Noosa in Hastings St a short walk to the Noosa National Park, Noosa's main patrolled beach and the event headquarters at the Lions Park in Noosa Heads. Choose from a range of fully self contained and individually furnished free standing beach houses that offer guests seclusion while enjoying living like a local during your stay. Relax by the heated pool and wading pool for the children and enjoy relaxed dining by the poolside bbq area. Ring us today to discuss our Noosa accommodation availability for this great Noosa event and get ready to live like a local in the heart of Hastings St Noosa when you next stay with us. The Sunshine Coast coastline stretches from Caloundra up to Rainbow Beach and includes the gateway to Fraser Island. The Sunshine Coast is the ideal location to relax and unwind whether is be on a white sandy beaches or wandering through the beautiful National Parks that this region has to offer. Noosa is the ideal holiday destination sought after by holiday makers the world over. With stunning white sandy beaches and wildlife rich Noosa National Park and a relaxed cosmopolitan village atmosphere it offers something for everyone on their holiday. The Hastings Beach Houses offers free standing 2 bedroom 'houses' that are individually furnished, air conditioned and fully self contained in the heart of Noosa on Hastings St. Set back from the road and secluded in sub tropical surrounds you will find nature at your door while staying here. One of the must do activities in Noosa is to walk through the beautiful Noosa National Park. With boardwalks leading from Hastings St to the park it is easily accessible from your Noosa Accommodation. With a range of different vegetation and an abundance of wildlife it it a feast for the senses. Keep your eyes open for koalas, goannas, many varieties of birds as well as marine creatures with whales, sea turtles and dolphins often sighted. Follow the coastal track with bitumen as far as Dolphin Point (great for wheelchairs and prams) or keep following the track past the Witches Cauldron or the Boiling Pot towards beautiful Tea Tree Bay (great for swimming, surfing and a great spot to relax) onto Granite Bay to the stunning Hell's Gates with views overlooking Alexandra Bay...well worth the walk and a stunning vantage point. Nature friendly Noosa is the ideal holiday destination and The Hastings Noosa offers nature friendly accommodation in the heart of Noosa on Hastings St. Ring us today to make your accommodation booking and get ready to enjoy Noosa on the Sunshine Coast. For a refreshingly different and indulgent holiday experience, Hastings Street in Noosa on the Sunshine Coast provides for an amazing range of accommodations that range from classic style to contemporary style. These accommodations make sure one has an amazing stay in the heart of Noosa with many nestled just a little away from the cosmopolitan dining and fashion hub situated at the Hasting Street and also from the well known Laguna Bay. Choose from self contained apartments and villas which provide both privacy and also easy access to the beach. These beach houses are uniquely positioned opposite the golden sand and surf of Main Beach and a short Laguna Bay on the Noosa River. From 5 star luxury resorts to 3-4 star hotels to motels are easily available at Hastings Street. These hotels provide for luxurious pent houses, riverfront suites and woods suites. The best thing about the stay at Hastings Street is that even though it is one of the most famous places, it accommodates nearly all budget hotels. Hastings Street is one of the flourishing retail and restaurant centre by day and a stunner by night. Hastings Street Noosa Accommodation can hence provide one of the best experiences for anyone travelling to Noosa. The Hastings Noosa is one such accommodation choice in Noosa that offers fully self contained Noosa Beach Houses which are set back from Hastings St but a short walk to the Main patrolled beach and of course Hastings St. No need for a car here.....a short walk to alfresco dining, cafes, fine dining beachside as well as great boutique shopping. Each individual beach house is fully self contained with 2 bedrooms, spacious living areas as well as balcony. Other facilities include heated swimming pool, wading pool for the kids and bbq facilities for casual dining. The Hastings Noosa is the perfect Noosa Accommodation Hastings St choice with everything Noosa right at your fingertips. Fraser Island Adventure Tours Fraser Island Adventure Tours is Queensland's multi-award winning tour company for Fraser Island. 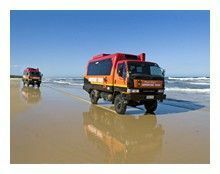 They specialise in day tours & group charters, visiting exclusive areas of Fraser Island & favourites including Lake McKenzie, Lake Birrabeen, Teewah Coloured Sands, Cooloola National Park, Sand Blows, and many other areas of the spectacular Great Sandy Region. Australia Zoo There is no other zoo like Australia Zoo! We pack in stacks of wildlife action every day and move at a great rate of knots to bring you the most action-packed LIVE shows and exciting encounters with our amazing animals. There are always plenty of exciting wildlife shows to see, friendly and knowledgeable zoo keepers to chat with and heaps of drop-dead gorgeous animals that can't wait to get up close and personal with you! Eumundi Markets More than just a market, a visit to the Original Eumundi Markets is shopping heaven if you’re looking for something different, something handmade, something special. You’ll find original artworks, sculptures, furniture, handmade toys, homewares, and skincare, as well as cutting edge fashion and jewellery by local designers, all guided by our ethos of we make it, bake it, grow it, sew it. 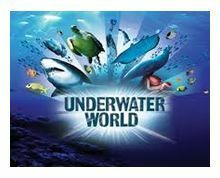 UnderWater World UnderWater World is a multi-award winning all-weather tourist attraction located at Mooloolaba on the Sunshine Coast. Walk amongst thousands of marine and freshwater animals as you explore 11 zones over 4 levels, including our new walk through Ocean Tunnel with Sharks & Ship Wrecks, Coral Cove, Bay of Rays and Turtle Temple. Other exciting zones include Touch and Tell, Weird and Wonderful, Seal Island, Otter Empire, Fresh and Freaky, Billabongs and Backyards and Crawly Creatures. We all love summer.....clear skies, warm days and balmy nights with a fair bit of time spent at our beautiful Sunshine Coast beaches. A study conducted by Dr Sarah Perkins, from the Centre of Excellence for Climate System Sciences at the University of New South Wales has found that Australia has warmed faster than the global average, meaning that the warmer weather is here to stay with a summer heatwave set to barrel through to May. This study also found that Australia's summer heatwaves over the past 60 years are lasting longer, are hotter and more frequent. Dr Perkins also said if the trends continued, the recent hot summer was likely to be a far more common event. Weather Zone meteorologist Rob Sharpe predicted the sunny skies and warm weather would stick around for most of April with local temperatures averaging 25.8 degrees. With April temperatures looking to be on par with the average temperature what a great time to get away for a well earned break. Noosa on the Sunshine Coast is a great beach side destination where you can enjoy stunning Noosa Main Beach as well as beautiful National Parks, great shopping and fine dining. The Hastings Beach Houses offers great Hastings Street Noosa accommodation close to beaches, shopping and restaurants. Enjoy fully furnished free standing beach house accommodation complete with air conditioning, private balcony, spacious living and dining areas with facilities including heated swimming pool, children's wading pool and bbq facilities. You will love this great Hastings St location, a short walk to beautiful beaches along with the restaurant, cafe and shopping precinct of Noosa. What are you waiting for....ring us today to make your Noosa Accommodation booking and get ready to enjoy some great weather in this beautiful Noosa location. DON’T MISS OUT ON OUR EXCLUSIVE NOOSA ACCOMMODATION SPECIALS - Bring your friends! Conditions apply. All specials are subject to availability & allocation. Tiger Airways will recommence flights between the Sunshine Coast and Noosa in time for Easter - with flights from $49.95.Flights on the Sunshine Coast to Melbourne route will start on March 27, starting with four flights a week and building to a daily service by June, adding more than 130,000 seats annually to the route.Tiger will operate the initial services on Sundays, Mondays, Wednesdays and Fridays, departing Melbourne at 9.05am (AEDT), arriving at Sunshine Coast Airport at 11.20am (AEST). The return flight will leave Sunshine Coast at 11.50am (AEST), arriving in Melbourne at 2.15pm (AEDT).Tiger Airways is offering a special early-bird discount price of $49.95 each-way between Sunshine Coast and Melbourne for travel during April or May only, on tickets sold before midnight on February 12.Sunshine Coast Airport is about 30 minutes from Noosa, with bus transfers, car hire and private limousine services available - phone 13000 NOOSA (66672) or email info@visitnoosa.com.au for information regarding transfers.